29.01 // MARK SHAW: POST-MATCH. Saturday saw Sheffield FC travel to Newcastle Town in the Evo-Stik First Division South, and their unbeaten start to 2018 come to an end, writes Luke Phelps. Sheffield had a strong start to the game but soon found themselves on the defensive. Home side Newcastle hasn’t won in 10 league games before Saturday, and with a strong finish to the first half they got the opening goal early in the second. James Askey poked home a cross from close range to put his team in the lead. Minutes later, cousin Luke Askey doubled the lead with a tidy finish inside the box. The kitchen sink was not enough for Sheffield in the final stages, and left the Lyme-Valley Stadium empty handed. Speaking after the game, Sheffield manager Mark Shaw said: “I’m massively hurting right now. I’m scratching my head as to why we haven’t performed – they’re at team that were there for the taking. “We worked so hard on Tuesday and Thursday, trainings been great! So how they produce that performance is beyond me. “I think there’s a lack of cohesion in the group... it should be relatively easy when you put a group of good players together. You’d expect them to go on and create for each other. As a group they should be doing a lot better. The 2-0 defeat leaves Club in 21st, still just 1 point above the relegation spot. “The players have got to realise they’re in a relegation battle” said Mark, “They’ve got to become harder to beat. See Sheffield in action from 3pm this Saturday. 28.01 // JOHNSON HAT-TRICK SECURES DRAMATIC 4-3 WIN FOR SHEFFIELD. Sheffield LFC's Rhema Lord-Mears in action against Tottenham. Sheffield LFC beat Tottenham Hotspur LFC 4-3 with 9 players in the FA WSL2, a game where fans certainly got their money’s worth, writes Luke Phelps. Mel Johnson opened the scoring for Sheffield after following up a Hannah Cain strike, before a penalty scored by Spurs' Coral-Jade Haines got the score back level. Johnson got her second of the game and again coming from Cain, who set her strike partner up for an open goal finish. With 10 remaining in the first half Cain and Tottenham’s Sophie McClean were involved in an off the ball bust-up which ended in straight red cards for each player. After the dust had settled on a frantic period, Johnson completed a first half hat-trick which a tidy finish inside the box for Sheffield. Spurs clawed one back within a minute of the restart when substitute Bianca Baptiste scored with what must have been her first touch of the ball, slotting past Gibbons after a long ball over the top. Katie Anderson gave Sheffield the breathing space they craved with a finish in the box just shy of the hour mark. Sheffield received a second red card of the game and this time it was Jenna Dear who picked up a needless second yellow card for kicking the ball away, leaving her team with 9 players on the pitch. With the woman-advantage Spurs pushed on and got a third through Wiltshere, who picked out the top corner of Gibbons goal from a low cross. The opening exchanges were relatively open and in the middle of the park but the game had a flutter of life on 8 minutes when Spurs forward Sarah Wiltshere got the beating of Sarah Jackson, cut inside the box and fired a shot directly at Danielle Gibbons in the Sheffield goal. Gibbons offloaded quickly and set her team up on the counter. Katie Anderson fed Sheffield striker Mel Johnson who on the edge of the box, and fizzed a low effort narrowly wide. The counter attack seemed to be Sheffield’s approach to this game and it paid off on 12 minutes. Emma Johnson picked up the ball on the centre circle and slipped in Cain with a through ball. Cain ran towards Toni-Anne Wayne in the Tottenham goal and fired a shot towards her bring a save from the keeper. The rebound however fell to an on-rushing Mel Johnson (12) who tapped into an empty goal. All was well in the Sheffield dugout until Sarah Jackson brought down Wendy Martin in the Sheffield box, and referee Melissa Burgin blew for a spot kick. Wiltshere stepped up and brought a top-class save from Gibbons, but the rebound fell kindly to Coral-Jade Haines (14) who got Spurs back on level terms. After two goals in quick succession, fans were returning to their seats expecting the tempo of the game to slow down. But fans were brought off of their seats just minutes later as Cain was again put through on goal on half way by a pin point Johnson pass. This time, Cain squared the ball to Mel Johnson (19) on the six yard box for another tap in to restore Sheffield’s early lead. An action packed opening 20 was capped by Spurs' Haines who rattled the crossbar with a thunderous free-kick from distance. With the lead, Sheffield sat back for the next 10 minutes and defended astutely whilst remaining dangerous on the counter. Captain Emma Johnson had an effort on goal blocked when her team broke on the attack with Rhema Lord-Mears, whilst Sophie McClean had a long range effort for Spurs saved by Gibbons. With the game drawing into half time with Sheffield leading, all hell broke loose when a player from each side saw straight red cards. Without the use of the contested VAR, it was difficult to tell exactly what happened. A scuffle broke out off the ball between Cain and Spurs’ McClean near the dugouts. After a lengthy deliberation the referee decided to show both players a red card. opportunity which she finished neatly. With the restart it seemed that a quite second half was on the cards but no more than 30 seconds into the second half we had our fifth goal of the game. Spurs restarted and straight away looped a ball over a slack Sheffield defence, substitute Baptiste (45) used her fresh legs to zip past and through the defence, and finished coolly past Gibbons. At 3-2, fans of both sides were enjoying a brilliantly entertaining game of football with got even more so when Anderson (53) scored for Club. A Lord-Mears through ball was deflected into the path of Anderson who took her time, and confidentially put the ball past Wayne in the Spurs goal to restore her teams lead. The red mist had certainly defended on The Coach and Horses today, and continued to do so in the second half when Jenna Dear picked up a second yellow card for Sheffield. With Spurs looking to break with a quick free kick, Dear decided to hold onto the ball and kick it away. The referee deemed this a booking and gave Dear her marching orders on 63 minutes. Now with 9 players on the pitch, Sheffield had 25 minutes to defend their 2 goal lead. Manager Zoe Johnson made a double substitution in an attempt to sure up the defence, bringing Sophie Jones and Chloe Dixon into the game. The changes proved ineffective though as Spurs got a third goal through striker Wiltshere (68). A make shift Sheffield defence was breached by a low ball from Baptiste on the wing. Wiltshere hit the ball first time and looped the ball over a helpless Gibbons and into the top corner. At 4-3 we were set-up for a dramatic final 20 of what had been so far, the game of the season at The Coach and Horses. Spurs had a disallowed goal for offside on 78 when Wendy Martin fumbled the ball over the line, but fans of Sheffield were saved by the linesman's flag. Panic was beginning to set into the Players, as both sides were giving away possession needlessly in dangerous areas. Sophie Jones was working hard for Club, run down the touchline and attempting to keep the ball in the corner of the Spurs half with minutes remaining. ​But Sheffield, as they had done throughout the second half, stood firm in the face of the Tottenham onslaught. With the full 90 minutes up it was signalled that there would be an additional 4 minutes to the game. Tottenham threw everything at the Sheffield defence, Baptiste had been influential since her half time introduction and almost troubled Gibbons with a vicious strike from range. It wasn’t enough for the visitors though as Zoe Johnson’s girls held out for all three points. A truly entertaining game of football. Sheffield LFC: Gibbons, Jackson, McCue, Cox, Dear, Johnson (Dixon 65), Lord-Mears (Jones 65), Cain, Anderson, Johnson (C) (Donohue 84), Kemp. ​Tottenham Hotspur LFC: Wayne, Leon, Hector, Vyse, McLean, Vio, McKenzie, Haines, O'Leary, Wiltshere, Martin. CECIL NYONI BATTLING HARD IN THE MIDDLE OF THE PITCH AGAINST NEWCASTLE TOWN. Sheffield FC's unbeaten start to 2018 came to an end today after losing 2-0 away at Newcastle Town in the Evo-Stik First Division South, writes Luke Phelps. A goalless first half was met by an early goal in the second for Newcastle Town, when a Louis Jones mistake presented James Askey with an easy goal. The deficit was doubled minutes later when cousin Luke Askey finished neatly inside the Sheffield box. Newcastle kicked off on yet another wintery Saturday in the Evo-Stik First Division South, but it was the visitors Sheffield who applied the early pressure. Adam Chapman had a headed effort saved from an early corner, whilst Leon Osbourne had half a chance in the Town box. Osbourne was the only change to the side that drew with Stamford last weekend, replacing Tyler Williams on the left wing. A lapse in concentration almost cost Sheffield the lead on 12 minutes when a mix-up between Chapman and centre back partner Julian Lawrence left striker Aaron Bott with a chance to score, but he couldn’t finish past a sprawling Louis Jones in the Sheffield goal. The last encounter between these two teams ended in a 7-goal thriller which finished 4-3 to Sheffield at The Coach and Horses. This time round it seemed as though there were goals to come but in the opening 25 minutes, chances were few and far between for both sides. The home side were growing into the game after Sheffield had been the better side in the opening stages. Club looked to break with Andrew Gascoigne who ran at the defence throughout the first half, and Rob Worrall had a shot from distance which sailed over the bar. Sheffield manager Mark Shaw spoke of his team “clicking” after the Stamford game and in the build up to this game, but his side were struggling to string a succession of passes together in the first half of the game. Sam Finlaw was one of the better performers for Sheffield. The restart marked the end of relatively uneventful half of football. Chapman excited fans on 47 minutes when he spotted Newcastle keeper Raajan Gill off his line and attempted the lob from inside his own half, but Gill managed to find his footing and prevent an embarrassing goal. After a strong finish to the first half Newcastle came out for the second on top again. An injury to full-back Ben Turner left Sheffield with a make-shift defence, and the defence was breached just minutes later. A low ball came in from the right hand side and keeper Jones came to meet the loose ball, but was beaten by Town’s James Askey (54) who tapped home for the lead. With their unbeaten start to the year under threat, Shaw made an attacking change with James Gregory replacing Kuda Muskwe up front. This proved ineffective though as Sheffield conceded a second minutes later. Good play from the Newcastle attack fed James Askey’s cousin Luke Askey (59) who from inside the penalty box curled a shot in off the far post. Shaw didn’t give up on his side’s unbeaten run and introduced another attacking substitution with Grant Ryan fresh from injury, replacing Leon Osbourne. Sheffield switched to a three-man front line consisting of Gascoigne, Ryan and Gregory as they searched for a way back into this game. Ten minutes to go and it seemed Sheffield would be leaving empty handed. Club had good possession all game in fairness, but failed to get in behind a solid Newcastle defence and trouble the keeper. A couple of Worrall corners ricocheted off the Newcastle woodwork in the final 10 giving keeper Gill a fright, but there was no Sheffield player on the second ball. Club pushed and pushed till the bitter end but still couldn’t fashion a clear goal-scoring chance. Perhaps our best effort of the game came from another Worrall set piece, this time a low free-kick from the youngster which Gill did well to push around the post. ​It was all Sheffield in the final stages, Sam Finlaw rolled the ball across the goal line and Yates fizzed a thirty yard volley just wide of the top corner – the final talking point of a disappointing day out for Sheffield. Sheffield FC: Jones, Turner (Yates 49), Brown, Chapman, Lawrence, Finlaw, Nyoni, Gascoigne (C), Worrall, Muskwe (Gregory 55), Osbourne (Ryan 63). 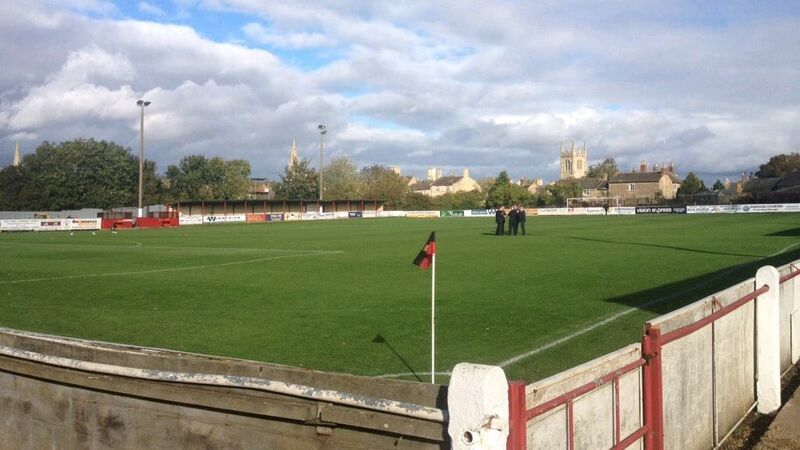 ​Newcastle Town: Gill, Freeland, Bridge, L.Askey, Davies, Dennis, J.Askey (C), Lee, Bott, Bailey, Morris. This Saturday Sheffield FC travel to Newcastle Town in the Evo-Stik First Division South, writes Luke Phelps. Club remain unbeaten in 2018 with a goalless draw at home to Stamford AFC last Saturday, but still sit in 20th place with just 1 point separating them from the foot of the table. A win for Sheffield though could see then leapfrog Newcastle into 15th. December was a good month for Sheffield as they are now 4 unbeaten on the road, a run which includes wins away at Cleethorpes and Stocksbridge. A win or draw on Saturday would make 3 league games unbeaten for Club – a stat that hasn’t been recorded since the first 3 league games of the season. Opposition Newcastle Town are a team bang out of form. A 3-0 defeat at home to Chasetown last Saturday made it 6 straight defeats, and 10 games without a win. Newcastle's last win came the game before their trip to Sheffield earlier in the season. A memorable night for those involved with the 7-goal thriller, which saw Sheffield cone out 4-3 winners. To add to their bad form, Newcastle have scored just 1 goal in 3 games in 2018, and have conceded 9 in the process. ​Speaking ahead of the game, Sheffield manager Mark Shaw said: “We are looking forward to the trip to Newcastle Town. I felt we could of got more out of the game last week. Everyone bar Jamie Hadfield is available for selection so it makes things great from a selection point of view. ​See Club in action from 3pm on Saturday at The Lyme-Valley Stadium. "It' just a matter of time before it starts clicking" Shaw post-match interview. Sam Finlaw on action against Stamford yesterday. Sheffield maintained their unbeaten start to 2018 yesterday, with a goalless draw at home to Stamford AFC, writes Luke Phelps. Play-off hopefuls Stamford started the brighter but were defending for the best part of the second half. Both teams had chances to score, Rob Worrall and Andrew Gascoigne both hit the post whilst Adam Chapman came close with a free-kick. Speaking after the game, Sheffield manager Mark Shaw said: “I think we deserved the 3 points in the end, but we haven’t played for 2 weeks so not losing, I can’t complain. ​Next up for Club is a trip to Newcastle Town this Saturday, from 3pm. Defender Julian Lawrence is forming a solid partnership with Adam Chapman at the back. Sheffield retain their unbeaten start to 2018 with a goalless draw against play-off chasing Stamford AFC, writes Luke Phelps. Manager Mark Shaw made two changes to the side that beat Stocksbridge Park Steels on New Years Day. Just one day after signing Kuda Muskwe made his first start for Club, replacing Leon Osbourne up front. Andrew Gascoigne also started in place of Jamie Yates. Sheffield kicked off first the time at home this year. Muskwe had half a chance in the opening minutes but couldn’t generate enough power into his header. Opposition Stamford also had a chance early on, when a fluffed clearance fell to the feet of striker Callum Ball, who also fluffed his effort. The dust was shaking off a Sheffield side that had come off the back of a two week break. Muskwe has a positive start to his Sheffield career and looked the brightest for Club. After picking the ball up from deep Muskwe ran at the defence before setting up Gascoigne on the edge of the box, who’s effort curled just wide. Our very own ‘Gazza’ also had a strong performance on his return from injury, but it was Stamford who were doing most of the attacking. The Daniels were persistent with the long ball over the Sheffield defence in the opening 20 but the defensive line stood firm. Tomlinson who hit the post from 6 yards and again the rebound fell to a Stamford attacker, this time Liam Adams who sliced his effort wide. Sheffield came close too with 5 minutes of the first half remaining. Gazza picked up the ball on the wing and cut inside onto his favoured left foot before rifling a low, driven shot against the post. The danger was cleared and Stanford regained possession. After making their way into the Sheffield area the loose ball was smothered by Jones who launched a counter attack. Sam Finlaw ran with the ball before slipping into young Rob Worrall who fired at former Sheffield keeper Danny Haystead. The rebound fell straight to Worrall who from a tight angle, could only hit the post of the open goal. Stamford came out the better team in the second half with chances in the opening 5 minutes for strikers Adams and Fortnam-Tomlinson, but nothing was troubling the on-loan Jones in the Sheffield goal. Talking points were few and far between in the second half and after a injury break for Stamford's Henry Eze the game was back underway. An attacking change for Sheffield came in the shape of Leon Osbourne who replaced Muskwe up front, as Sheffield pushed for all the points. Captain Adam Chapman denied what was bound to be an opening goal for Stamford with a flying lunge, as his Sheffield team began to take control of the game. Shaw’s team had fresh legs on the pitch and were enjoying possession in the Stamford half, but failed to test the keeper. Coming close with 10 remaining was Chapman who, with reminiscence of his wonder strike against Stocksbdrige, fizzed free-kick from range just inches from the top left corner, Haystead could only stand and watch. ​After narrowly passing a pitch inspection this morning, the field of play was beginning to tear up in parts making okay difficult. Nevertheless, it was Sheffield who pushed for the winning goal in the later stages of the game. It was not to be had though as the teams settled for a point each. 18.01.18 // Match Preview: Sheffield FC V Stamford AFC. 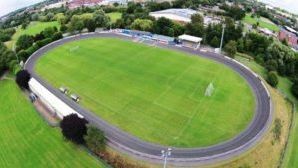 This Saturday sees the return of football to The Coach & Horses where Sheffield FC host the promotion hunting Stamford AFC, writes Luke Phelps. With just 1 loss in 4 now, Sheffield FC are beginning to pull away from the end of the table but it is home form that is letting the team down. Wins away at Cleethorpes and Stocksbridge are met with back-to-back home defeats at the hands of Gresley and Belper Town respectively. Last time out was all the way on New Year's Day with a cross city visit to Stocksbridge Park Steels. A game that was made difficult for both sides by the weather was fought out by Sheffield FC who came from behind to beat a 10-man Stocksbridge side. The two teams last met in November where Stamford hosted. After taking an early lead through Tyler Williams Club were reduced to 10-men, but battled bravely to save a point with a last minute goal from James Gregory. All eyes this weekend will be on Grant Ryan though - A Stamford player last season, the big striker netted 14 times for The Daniels. Club have that slight fitness advantage heading into this game, with Stamford playing just last weekend in a 4-2 home defeat to Frickley Athletic. Despite winning just 1 game out of their previous 4, Stamford are sitting pretty in 6th place - 6 points off second place. Stamford have proven this season that they can be beaten on the road - Basford, Peterborough and Frickley have all hosted The Daniels and have all taken 3 points from them. The one-to-watch for this weekend is midfielder Rob Morgan. Standing tall, Morgan is a handful for any defence and with 6 goals and 6 man-of-the-match performances this season, he will definitely be in Mark Shaw's plans to halt Stamford. Speaking before the game, Sheffield manager Mark Shaw said: "I've been really encouraged by the players attitudes and their desire to work hard in training. We are currently only with two injury concerns and the two week break has given players the opportunity to get fitter. Hopefully the two week break won't have made the team too rusty but I'm hoping for a good team performance and to get ourselves out of the blocks quickly." See Club in action this Saturday from 3pm at The Coach & Horses. Debutant Leon Osbourne in action for Sheffield against Stocksbdrige today. 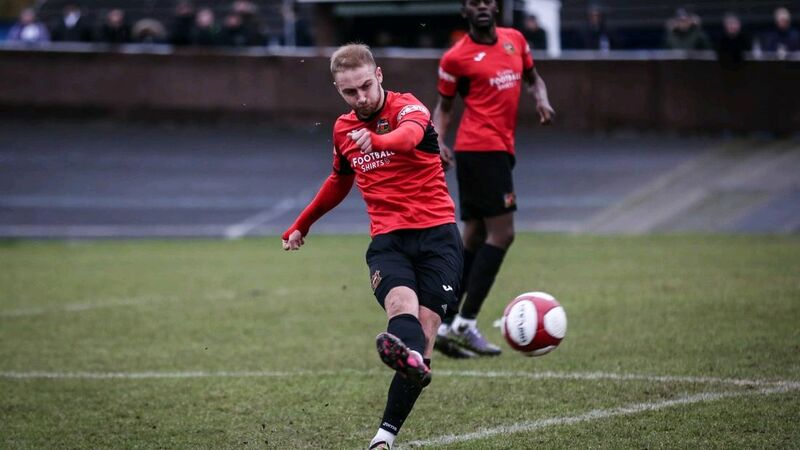 Sheffield FC overcome Stocksbridge Park Steels 2-1 in a fiercely contested Sheffield derby, making it 4 games unbeaten on the road for Club, writes Luke Phelps. Manager Mark Shaw made just one change to the side that fell short to Helper Town on Boxing Day, new signing Leon Osbourne got his first start for Club replacing Andrew Gascoigne. It was the hosts who kicked off on this wintery start to the new year. Stocksbridge had the better of the possession in the opening exchanges. Sheffield keeper and player of the month Louis Jones was called into action early on when Stocksbridge forward Brodie Litchfield rifled a volley towards goal from the edge of the box, but Jones was equal to it. As the game progressed Sheffield began to have more possession but play was scrappy from both sides. Rob Worrall and Cecil Nyoni were looking to pull the strings in the middle of the park for Club but couldn’t get a sight of goal until the 19th minute. The ever-present Tyler Williams used his pace to set up Leon Osbourne who turned inside the box and smashed the up-right of David Reay's goal. Minutes later Rob Worrall had another good chance for Sheffield, when his mazey run ended him up in the Stocksbridge box. He drilled low towards the far corner of the goal bringing a strong save from Reay. Mark Shaw was animated on the side lines but his team were now in the driving seat, chances for Sam Finlaw and Ben Turner followed but neither could trouble the keeper. There was a feeling of tension coming off the pitch, both teams were desperate to start the new year off with a win but neither could break the deadlock before half-time. The restart brought the rain and conditions turned nasty on the pitch. Sheffield began the second half brightly winning two early corners after a breakdown in communication between the Stocksbridge defence. Club’s best chance of the game came on 54 minutes when Reay's misplaced goal kick fell to Osbourne who had the goal to run at. As he bared down on the goal, Osbourne attempted to push the ball around Reay who managed to stop the ball, but illegally outside the box. The referee blew his whistle and after some confusion on and off the pitch, showed Reay a straight red card. The resulting free kick was taken by Worrall and deflected narrowly wide off the wall for another corner. Sheffield took the game to 10-man Stocksbridge but were almost caught on the counter. Litchfield threading through to forward Scott Ruthven on the six yard box who brought a top save from Jones, only to be pulled back for offside. With the clock ticking Mark Shaw introduced Francis to the game, as the search for the opening goal continued. It seemed that a goal for either team would see them take the points, and Francis almost did that with his second touch of the game. The striker found himself in a one-on-one position with Stocksbridge's substitute keeper but could only force the save. After an hour of Sheffield pressure the game got it’s opening goal, but it came for the home side. After some tidy build up play in the middle the pitch, Litchfield managed to play in substitute Lumsden (75) who slotted neatly past Jones. The goal dealt a heavy blow to Sheffield fans and players alike, but all was not lost as Club found the equalizing goal only a minute later. A long-range effort from Williams bought the save from the Stocksbridge keeper and the rebound fell kindly to Francis (76), who tucked away his first senior goal for Sheffield. The game had suddenly sprung into life and minutes later we had our third goal. Skipper Adam Chapman (81) picked up the ball 30 yards from goal and unleashed an absolute rocket of a strike which flew into the top corner of the goal. The keeper could only watch as Sheffield took the lead for the first time in the game. As the fourth official signalled three minutes of added time, supporters of Sheffield waited anxiously for the final whistle which eventually came and gave Sheffield the deserved win. 02.12.17 // Shaw "completely deflated" after Gresley loss. Last night saw Evo-Stik First Division South football return to The Coach & Horses after a two week break, writes Luke Phelps. 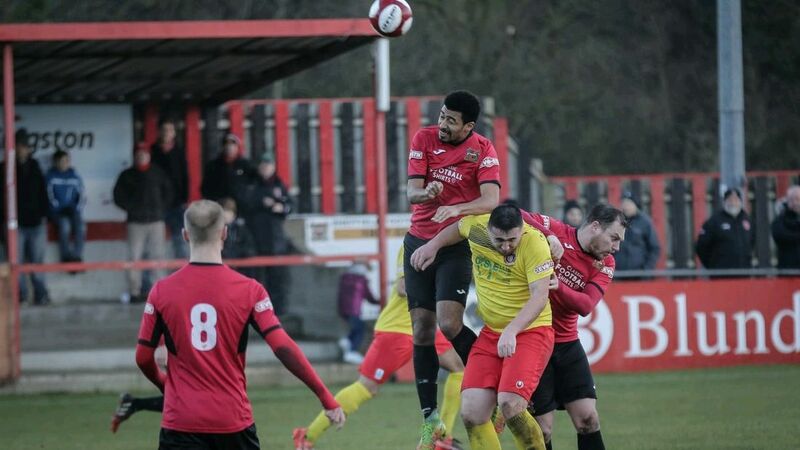 Sheffield FC fell short to relegation rivals Gresley in what was a disappointing say for Mark Shaw. Speaking after the game, Shaw said he felt “completely deflated” and “hugely disappointed with the loss. Gresley put two past Sheffield to take all the points, but they spent most of the game defending. Before the game Sheffield were placed in 20th, but the win moves Gresley into that position while Sheffield slip to 21st. ​Things won't be getting any easier for Shaw and his side, as they travel to title contenders Cleethorpes on Saturday. See Club in action next Saturday from 3pm when they travel to Cleethorpes. 30.11.17 // Girls Futsal Academy: Participation and Improvement. 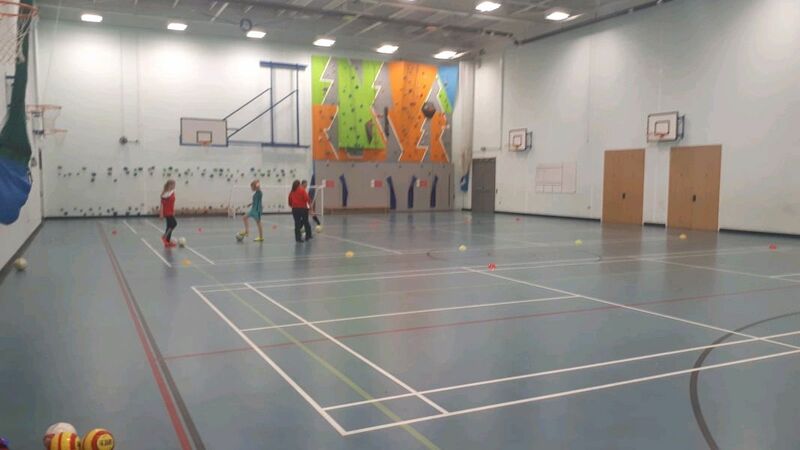 Futsal is a sport growing in popularity and one that Sheffield FC are very much involved in, writes Luke Phelps, and now the club is running futsal training sessions for girls aged 12 right through to 24. The sessions are funded by the Yorkshire Sport Foubdation and conducted by Carl Woodrow and Giuseppe Brullo at the Sheffield Springs Academy every Thursday from 5:30 till 6:30. Mr Barker’s daughter Katie has been coming to the sessions since they restarted back in September, and hasn’t missed one since. Sheffield FC is already home to a successful Ladies first and development team, and the girls futsal academy could be producing our stars of the future. If you or your daughter want to give futsal a try, come down to the girls futsal academy training sessions every Thursday from 5:30pm for the small fee of £3. 16.11.17 // Turner full of praise as Ladies crash out of the cup. 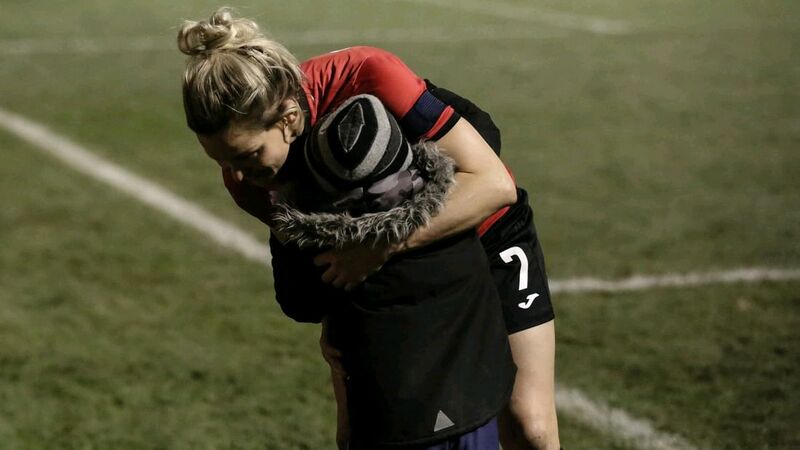 Captain Ellie Gilliat hugs a young fan after the game. Last night Sheffield FC Ladies crashed out of the Continental Tyres Cup as they lost 4-2 on penalties to Premier League Sunderland Ladies, in a thoroughly entertaining game at The Coach & Horses. The visitors had dominated large parts of the first half and took the lead when captain Lucy Staniforth finished past Danielle Gibbons, who kept Sheffield in the game with several top saves. Rhema Lord-Mears got Club back into the game just before the break, when her strike from the edge of the box flew into the top corner. Sheffield dominated the second half and could’ve, probably should’ve won the game. It was however to be decided on penalties, and it was Sunderland who left victorious. Sunderland are currently mid-table in the Premier League, a league above Sheffield. ​With three weeks before the next game against Doncaster Rover Belles, Sheffield have some time to rest and prepare. ​See Sheffield FC Ladies in action against Doncaster Rover Belles in the WSL 2 on 10th December from 2pm. 15.11.17 // Shaw hoping to build a connection with County. Last night’s friendly match between Sheffield FC and Derby County finished 1-1 at The Coach & Horses writes Luke Phelps, as the club seeks to build a connection with their Championship neighbours. Target man Grant Ryan gave Sheffield the lead before Jaden Mitchell-Lawson equalised in the second half for The Rams. Another plus for Shaw was that it offered him a chance to rotate his team, fielding two unnamed trialists and several development squad players – “that’s important to us. 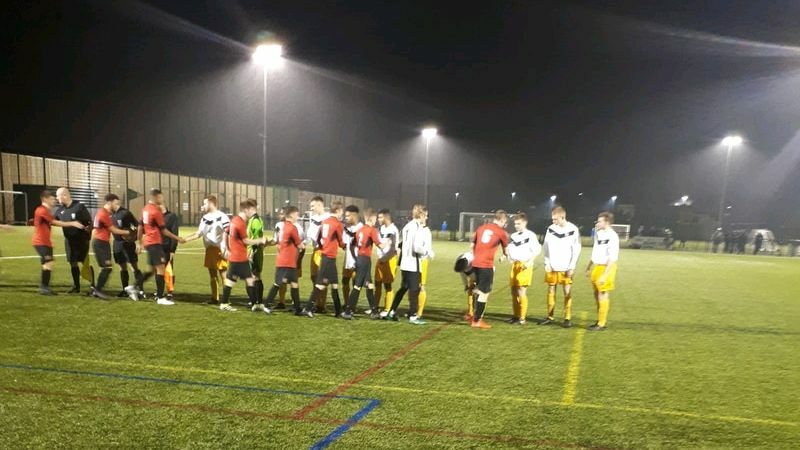 Club put in a solid performance against a young Derby County side led by youth coach Rory Delap, but had found themselves defending for large periods of the game. In all competitions and including last night’s friendly, Sheffield have lost just one of the last four games, but Shaw believes that momentum is gained solely in the league. Shaw is into his eighth week as Sheffield FC manager, and describes the “massive transition” that he’s overseen. Sheffield lie in 20th place – three points above the relegation spot. Having scored 29 league goals this year, the problems appear to be lying at the back with 42 goals conceded. See Sheffield in action at Alvechurch from 3pm on Saturday. 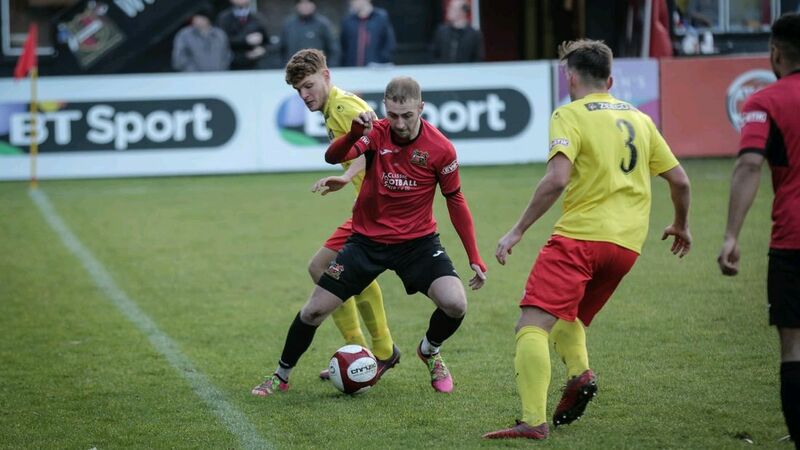 This Saturday Sheffield FC host Market Drayton in yet another crucial game at the lower end of the Evo-Stik First Division South, writes Luke Phelps. Sheffield have picked up 4 points in December, thumping Cleethorpes Town 4-0 in the process. But defeats to relegation rivals Gresley at the start of the month, and a 1-0 loss to Belper Town on Boxing day leaves Club just 1 point off the foot of the table. Our next opponents, Market Drayton lie 20th in the table, just one place behind Sheffield. The aptly named ‘Gingerbread Men’ are on a 6 game losing streak, with just 1 win from their last 8. A 4-0 Boxing Day loss at Kidsgrove Athletic made 3 games without a goal, and 10 concede in the same time. A much-needed win for either team on Saturday could lift them as high was 16th in the table. ​See Club in action this Saturday from 3pm at The Coach & Horses Stadium. This Saturday Sheffield travel to title chasing Cleethorpes Town. Last weekend Club lost 2-0 to Gresley in what was a crucial game at the bottom of the Evo-Stik First Division South. Manager Mark Shaw was left feeling “completely deflated” after his Sheffield team were punished by a defensive error, and hit on the counter. Club are without a win three now, with that memorable 4-3 victory over Newcastle Town their only in the last eight. Away from home, Sheffield are still to win this season picking up just four points. Sheffield drew with Kidsgrove on their last outing, which marked their third consecutive away draw. Cleethorpes 2-0 win at Loughborough Dynamo last weekend ended a run of six league games without a win. The visit of Sheffield will be Cleethorpes first home league game since mid-October, after several postponed games and a lengthy run in the FA Trophy. A win for Sheffield could lift them high as 17th, but a loss see them fall to the foot of the table and into the relegation spot. Fourth-placed Cleethorpes are now 19 points behind leaders Basford with three games in hand. Three points on Saturday could place Cleethorpes in third ahead of Stocksbridge. There is only the one injury problem for Mark Shaw ahead of Saturday’s game, with Andrew Gascoigne return to an almost fully-fit squad. Speaking ahead of Saturday, Mark Shaw said: “After a very disappointing weekend the players have trained really well, and I am very upbeat about the game tomorrow. It’s a going to be a difficult trip and Cleethorpes are a very good side. See Sheffield take on Cleethorpes this Saturday from 3pm. Sheffield FC lose to relegation contenders Gresley 2-0 in a disappointing afternoon at The Coach & Horses, writes Luke Phelps. Matthew Melbourne headed Gresley into an early lead before Danny Quinn doubled Gresley's lead midway through the second half. Mark Shaw made two changes to the side that drew away to Kidsgrove Athletic last weekend, Cecil Nyoni and Jamie Hadfield entered the frame in place of Julian Lawrence and Jamie Yates who both drop to the bench. The game kicked off and we were straight in the action. Talisman Tyler Williams immediately looked up for the fight, and set up Ben Turner for an early chance which he shot straight at Callum Hawkins in the Gresley goal. Sheffield dominated the opening ten, playing comfortable football in the Gresley half. The visitors did pose a threat on the counter attack however, midfielder Oliver Bassett tested Louis Jones from range but brought an easy save from the keeper. Jones was called into action again just minutes later. As Gresley forced their way through a tight Sheffield defence, the loose ball bounced to forward Quinn who from six yards, forced an excellent save from the keeper. The opening dominance of the home side was wearing off, Bassett continued to cause problems on the edge of the Sheffield box but the defence was equal to everything they had to offer. After a short injury break which saw defender Jamie Hadfield limp off in place of Julian Lawrence, Sheffield punished by Gresley's top scorer Melbourne (19). An out-swinging free-kick from Sean Phillips landed on the head of Melbourne in the six-year box. The unmarked Melbourne headed neatly past Jones to give the away side the lead. As tackling were flying in all over the pitch, the game began to get scrappy. Sheffield were yet again having possession in the Gresley half but couldn’t find themselves in a goal-scoring position. Our biggest goal threat seemed to be Williams, who was linking up nicely with full-back Turner down the right hand side. On the other flank, full-back Alex Brown almost set up Ben Algar for what would've been a spectacular goal. As Brown crossed in attacking midfielder Algar took the ball down beautifully on the edge of the box, but struck straight down the throat of keeper Hawkins. Algar again brought a comfortable save from Hawkins, when he weaved in and out of several Gresley defenders before firing towards goal on the corner of the Gresley box, capping a disappointing half for She’s side. HT: Sheffield FC 0-1 Gresley. The second half began slowly, with both teams looking slightly nervy in the opening exchanges. Target man Grant Ryan was causing problems for Gresley, and crossed for Brown who drilled a shot towards goal in the box, only to be thwarted by a strong block from Gresley's skipper Matt Roome. Bassett caused Sheffield problems all game and all over the pitch as the opposition, much like the home side were directing their attacks down the right hand flank. Gresley hadn’t left their own half for the opening twenty minutes of the second half, but it was them who got the next goal of the game. As Sheffield piled on the pressure they were caught on the counter attack when winger Reece Morris took the ball forward and threaded it through to Quinn (64) who drilled low past Jones. Frustration was rife both on and off the pitch after the second goal, and this was evident when Nyoni was booked for a flying tackle on Bassett – to which some were surprised to see him stay on the pitch. An attacking substitution was needed for Sheffield, and it came on the form of development player Luke Francis who almost had his first goal for club within minutes, when he headed an Algar cross towards goal but failed to test the keeper. ​James Gregory had a quite match for Sheffield, but almost clawed on back when his long range effort whistled just wide of Hawkins' left hand post. The chances kept coming and Ryan had the next one, when he automatically volleyed an effort towards goal from a Williams cross, but it was a routine save for the keeper. As the clocked ticked on the early energy of the game was petering out. Sheffield continued to push for a consolation goal at least, but couldn’t find a way through a well-organised Gresley defence as they left with a crucial three points. Sheffield FC return to The Coach & Horses this Saturday as they face Gresley FC in what will be a fierce battle at the bottom of the Evo-Stik First Division South. Club are coming off the back of a positive 2-2 draw away at Kidsgrove Athletic, and manager Mark Shaw has said there are “a lot of weary bodies” ahead of Saturday. It will be a welcome return to The Coach & Horses for Sheffield, after two long-haul away trips to Kidsgrove, and Alvechurch the weekend before. As for the game on Saturday it will be touch-and-go for Shaw, as his players try to regain fitness. Richard Adams is fully fit and available again after suspension. Losing just 1 of the last 4 in the league, Sheffield are slowly pulling away from the bottom end of the table. Also down the wrong end of the table are opposition Gresley, who have lost 3 of their last 4 league games. ​On the road however, Gresley have lost just 1 of the last 5 beating Spalding United on their last away trip. The one-to-watch on the opposing team is forward Matthew Melbourne. Awarded the Chairman’s Award last season, the powerful target man has scored 9 league goals this season. 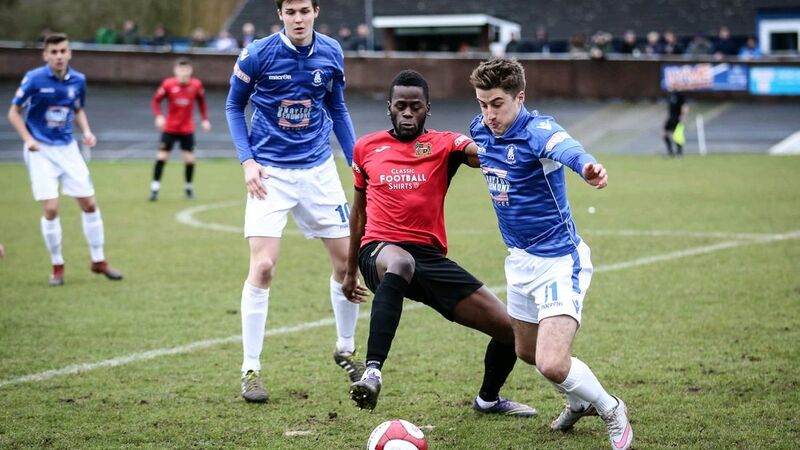 ​See Sheffield FC take on Gresley at The Coach and Horses this Saturday from 3pm. Sheffield FC Ladies Development overcome Durham Ladies Development 4-1 in the FA WSL Development Northern Division to make it just 1 loss in 8 games. The scoring was opened by a wonderful goal from Sheffield’s Kenedy Owen before Ellie Hawcroft headed home a second. Georgia Willson added a third before half time with a deft finish before Durham clawed one back after the restart. Millee Clarke got the fourth with a curling effort. Sheffield kicked off on this frosty Sunday at SGP Westfield and dominated possession in the opening ten. Willson had a good chance to score early on when captain Ella Hartley squared the ball to her in the box, but Willson put her effort over the bar. Looking dangerous on the attack, the home side almost paid for a lapse in concentration when defender Leigh Goodwin and keeper Lauren Joyce had a miscommunication, but the on-rushing Durham forward couldn’t pounce. Fifteen minutes in and Sheffield's dominance looked to be fading until they found the opening goal through Owen (15). The deep lying midfielder picked up the ball on half way before beating three players, making her way into the box and sending the keeper the wrong way for the lead. The goals came from midfield today, and it was Owen's midfield partner Hawcroft (23) who got Sheffield's second. An out-swinging corner from Hartley landed on the head of Hawcroft who stuck it in the bottom corner of the net. It was all Sheffield in the first half, and Willson (38) got a deserved third for the home side. Full-back Megan Tinsley had an energetic performance down the left for Sheffield, and crossed for Willson to slot the third in the far corner. As the rain began to pour the Durham defence started to leak. It was set-pieces that the visiting team were struggling with, Hawcroft again rising to meet the ball and head unlucky as her effort was cleared off the line. Manager Kyle O'Reilly would’ve been proud of his girls as the head in for half time with a three goal lead. The home side who continued to have the better possession with the restart. Most of the first half attacks for Sheffield came down the left but it was Goodwin on the right hand side looking most dangerous. After defending for fifty minutes, Durham got a goal very much so against the run of play. Scoring from two in the first half Sheffield conceded from a corner (50) when a Durham player rose high and headed low past Lauren Joyce in the Sheffield goal. That Durham goal had given them confidence in going forward, and added some extra tenacity to a game that was very one-sided in the first half. It also highlighted the talent of Sheffield’s two centre halves Beth Ibbotson and Ruth Likara who were both outstanding today, playing with experience beyond their age. The game was being fought out in midfield, but the next best chance of the game fell to Sheffield's Shannon Durkin who, like Owen in the first half, weaved through the Durham defence and into a goal-scoring position, but her effort trickled just wide of the goal. Sheffield continued to push for the fourth goal that would give them some breathing space, Clarke tested the Durham keeper from range before setting up Hartley who forced another good save. ​Night time was drawing in over SGP Westfield, and both teams began to show signs of tiring with ten remaining. It was soon to be four for Sheffield when Clarke (80) cut inside from the left, and curled a beautiful shot into the top corner to see the game off for the home side. Likara almost got a goal which would’ve capped a great performance, when she headed another precise Hartley corner towards goal, but the keeper was equal to it. With minutes remaining Durham tried to push for a second goal but couldn’t find one as Sheffield take all the points with a strong performance, and comfortable win today. 09.11.17 // Exclusive Interview: Hannah Cain. 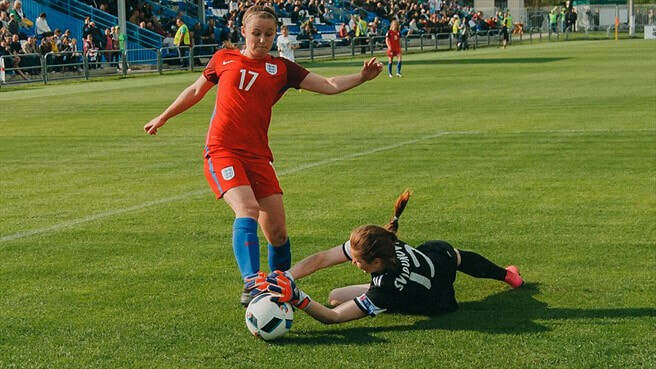 Sheffield FC Ladies striker Hannah Cain is "ready for the step up" after recently been selected in the England Under-19 squad to face Finland later this month, as the young Lionesses prepare for the European Championships next year in Switzerland. The 18-year old who was born in Doncaster is a product of Sheffield United Girls' Centre of Excellence, and signed for Sheffield FC before the start of last season. When asked if she was how feeling ahead of the Finland game, Hannah said "I'm very glad to be back in the squad. I missed out of the Phase One games because I tore my groin, so I've been out for quite a few months". The medical staff at Sheffield FC have been putting Hannah through recovery programmes to help her get back to full fitness. Speaking on the programmes, Hannah said "it's been a bit hit and miss and I've had a few niggles, but I've got my injuries sorted now and I'm fully fit - everything is done". Young Hannah has featured for England before at under-17 level. Last year the team travelled to Jordan for the World Cup, where they fell short at the quarter final stage. She believes she was lucky to be selected, after she broke her leg just 16 weeks before the start of the tournament and was out for 13, giving her just a few weeks to find fitness. Talking about the World Cup in Jordan last year, Hannah felt she wasn't fully fit for the tournament and that there were "some mistakes" during the tournament, and "some points to prove". As with any player at Hannah's level, the dream is to one day break into the England first team. "I've been involved (with the National Side) since I was 15… I've invested my whole life into it". 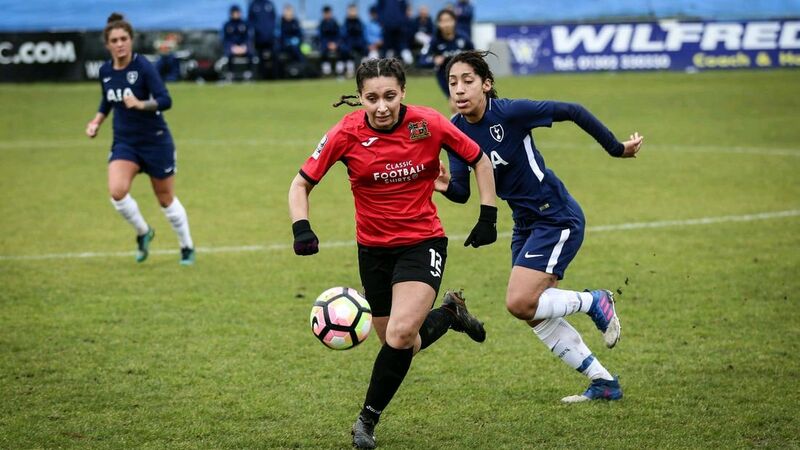 At club level, Sheffield FC Ladies beat Aston Villa Ladies on Sunday 11-10 on penalties with Hannah scoring two of them, as they look to progress from the group stage of the FA WSL Continental Tyres Cup. "Villa made it tough for us - we didn't play our best game". "We pulled it back late on, Mel (Johnson) got the goal and it was a 'worldie' as well"
"As soon as there's an opportunity to take a penalty I'm straight there - I thrive of pressure". Next time out Sheffield FC Ladies face Brighton & Hove Albion in the league. Speaking on the opposition, Hannah said they're a "massively strong side who've bought in a lot of players. "They (Brighton) have proven themselves as a WSL team, but we're ready for it". A win at Brighton on Sunday could move them up to 2nd in the table. When questioned on the team's title chances, Hannah said "we're a young squad and we've got a lot of good players - we've got a lot of potential". "Our aim though is to just keep doing better and better every season". Hannah and the rest of the Sheffield FC Ladies team are keeping active, playing Sunderland in the final game of the group stages of the cup next Thursday at the Coach & Horses. 16.11.17 // Match Report: Sheffield FC Ladies 1-1 Sunderland AFC Ladies. Rhema Lord-Mears equalising for Sheffield FC Ladies. Sheffield FC Ladies lose 4-2 on penalties to Sunderland AFC Ladies in the WSL Continental Tyres Cup, Group 1 North after a 1-1 draw, writes Luke Phelps. The result means Sheffield FC Ladies are out of the cup. Manager Zoe Johnson made just two changes to the side that fell short to Brighton & Hove Albion at the weekend, striker Hannah Cain dropped to the bench and Danielle Cox didn’t feature. Sophie Jones and Niamh Cashin both started the game for Sheffield. The game kicked off under the lights and it was the visitors Sunderland who has the better possession of the opening ten minutes. Winger Zaneta Wyne’s long-range effort was the only talking point, and it was saved easily by Sheffield keeper Danielle Gibbons. Sheffield were looking down the right hand side, striker Melissa Johnson linked up with Lord-Mears to win a corner which caused panic in the Sunderland box. Upon clearing Sunderland hit Sheffield on the counter and set up Wyne for an effort on goal which she put wide. The Black Cats had another good opportunity when creative midfielder Kasia Lipka thread a ball through to skipper Staniforth who gave Gibbons her first save of the game. Jones' girls grew into the game and began to link passes but failed to find themselves in the Sunderland box. Despite their opponents being in the league above, Sheffield were equalling them in every department. M.Johnson had an opportunity to cross into the Sunderland box but her effort was cleared leading to a Sunderland counter. Much to the despair of Sheffield, Staniforth (35) got the opening goal of the game when she ran the ball into the Sheffield box, and slipped a clever finish under Gibbons to out her side ahead. Sunderland lead almost doubled when Gibbons parried a cross into the path of Staniforth who struck at goal, only to be denied by a solid block by defender Sarah Jackson. Just as the referee was going to blow for half time, Lord-Mears (45+1) popped up with an outstanding goal for Sheffield. Midfielder Hannah Dale spread a delightful ball across the park and into the path of Lord-Mears who cut inside, and drilled the ball beyond Rachael Laws in the Sunderland goal and into the top corner. HT: Sheffield FC Ladies 1-1 Sunderland Ladies. Coming out after half time it was Sheffield who started the brighter. Miidfielders Ellie Gilliat and Sherry McCue were looking to craft a goal-scoring opportunity for the home but couldn’t break through a tight Sunderland defence. The Sheffield defence was equally tight, Sarah Jackson was the standout performer in the back four and was thwarting any Sunderland danger after the restart. At the other end M.Johnson has the opening opportunity for Sheffield, but failed to test Laws with her effort. Almost out of nowhere, Gibbons produced a wonderful save from a bullet header courtesy of Sunderland’s Wyne who headed back across goal from a Dominique Bruinenburg cross. The game had burst back into life and Sheffield had what was a good sight of goal. McCue found The ball and made half a yard of space in the Sunderland box, but her game effort was smothered by a relieved Laws. Sunderland appeared to getting frustrated with the game as the home side continue to bring the game to the visitors. The game was almost turned on its head when Sheffield were awarded a penalty with fifteen remaining. Midfielder Emma Johnson burst through the Sunderland defence and rounded the keeper who brought her down, the referee blew for a spot kick and it was striker M.Johnson who took responsibility. Laws redeemed herself in the Sunderland goal, tipping the penalty onto the post and clearing it for a Sheffield corner. After almost conceding, Sunderland had two great opportunities to score. Nicole Kemps failed clearance fell to the feet of Sunderland’s Mollie Lambert who struck for goal and drew a save from Gibbons. 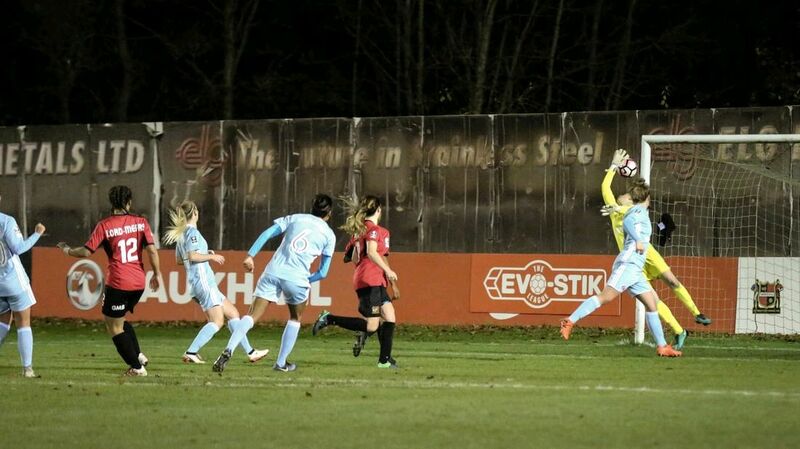 The save parried to Wyne who should’ve put Sunderland in the lead but blazed her effort high if the bar. Sheffield looked anxious following the penalty miss, and Sunderland had several chances to score within five minutes of the penalty, the pick of the bunch was Bridget Galloway’s effort which rebounded of the upright. The visitors were inches from taking the lead when Staniforth rounded Gibbons and struck for goal. The initial save was a good one but it was Niamh Cashin who saved her side when she cleared Staniforth's effort off the line. M.Johnson almost made up for her earlier penalty miss when substitute Katie Anderson played a pin-point through the striker. M.Johnson paved the Sunderland defence to find herself one on one with Laws who produced a top save to keep things level. ​In a game that had everything, substitute Jenna Dear cleared another header of the line from a corner and set up a blistering counter attack lead by M.Johnson. The striker should’ve had a hat-Trick in this game as he effort was again saved by an impressive Laws in the Sunderland goal, sending the game to a penalty shoot-out. Hannah Cain took the first penalty for Sheffield and to The shock of the crowd put her effort wide. Staniforth stepped up for Sunderland to put them 1-0 up in the shoot-out. Surprisingly, keeper Gibbons took the next penalty and drilled the ball past Laws for 1-1. Wyne had the next penalty for Sunderland and converted neatly before E.Johnson made it 2-2. It was Galloway next for Sunderland who again produced a tidy finish for 3-2 after three penalties each. Sarah Jackson was up next for Sheffield, her penalty was on target and brought a great save from Laws. Defender Victoria Williams took the fourth and final penalty, converting to give Sunderland the 4-2 win on penalties. Sheffield FC draw 1-1 with nearby rivals Derby County in this mid-season friendly, which featured several players from the development team and realists, writes Luke Phelps. After an open start to the game Grant Ryan out the home side in the lead just before the break. Visiting Derby got back into the game midway through the second, when JadenMitchell-Lawson finished from close. Manager Mark Shaw made four changes to the side that beat Newcastle Town at the weekend. Julian Lawrence, Jamie Yates, Callum Harrison and James Gregory all start in place of Jamie Hadfield, Cecil Nyoni, Sam Finlaw and Andrew Gascoigne. 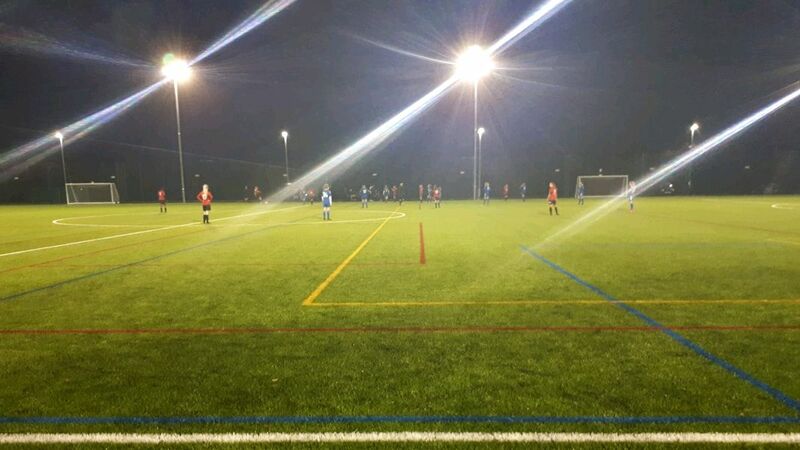 Sheffield kicked off under the lights as they faced a Derby team led by youth coach and former Premier League midfielder Rory Delap. The opening stages of the game were a very open, but neither team had much to talk about. Derby's first chance of the game fell to Jordan Brown when he picked up a corner on the edge of the box, but blazed a half-volley over the bar. Delap’s side consisted mainly of youth and development players, his team however began to have the better possession in the first fifteen minutes. Tyler Williams began the game as he finished the last one, using his blistering pace to get in behind the Derby defence but failing to craft any chances. Neither team was creating chances, the home side were almost gifted one however when forward Grant Ryan chased down the keeper who fumbled his clearance, a Derby defender was on hand to clear. County's Mitchell-Lawson had a similar style of play to Sheffield’s Williams and looked to be the biggest threat for the visitors. He too could not create a goal-scoring opportunity for his side. Morgan Whittaker had half a chance for the visitors when he opted to shoot instead of cross, but sent his shot high over Louis Jones goal. Sheffield had a chance themselves not long after, When striker Ryan who scored against Newcastle at the weekend, but curled his effort wide of the post from twenty yards. It was Ryan who got the games first goal and just minutes after his first effort of the game. Winger Gregory cut into the Derby penalty box from right and set-up Ryan (42) for a goal which he dispatched confidently. The game had suddenly sprung into life, after taking the lead Sheffield let Derby’s Cameron Cresswell through, only to put his effort over Jones’ goal and brought an end to the first half. HT: Sheffield FC 1-0 Derby County. It was almost the worst restart possible for Sheffield, when Mitchell-Lawson picked up a stray back-pass and weaved into the penalty box. The winger's shot on goal was met with a firm save by the legs of Jones. Yates featured in central midfield for club today, usually featuring higher up the pitch. He had a chance after the restart when the ball bounced to him on the edge of the box, but Yates skewed his volley wide. Ben Algar was another player who started in an unfamiliar position today. The Dronfield-born winger played behind Ryan in the ‘number 10’ role today, and tested Derby's Sam French when he fizzed a shot in from 25 yards. As the clock kept ticking, Derby continued to have possession in Sheffield’s half and came close to a chance when Buchana drilled a low ball into the box from the right hand side. Defender Adam Chapman was on hand to clear the danger. Almost out of nowhere, County were back on level terms. A good passing move saw a ball split through the Sheffield defence and into the path of Mitchell-Lawson (71), who slotted past Jones into the bottom left corner. ​The pressure was coming thick and fast now from Derby, Whittaker had a spectacular curling effort pushed out for a corner by an equally good save from Jones in the Sheffield goal. The Home side didn’t have much in the way of attacks in the second half, but had a couple in quick succession. First it was youth defender Lawrence who’s strike from range was comfortably saved, and then youth player Luke Francis who burst past Derby defenders and found himself one on one with French, who was equal to the shot. FT: Sheffield FC 1-1 Derby County. Sheffield FC: Jones, Turner, Lawrence, Chapman, Brown, Williams, Yates, Harrison, Gregory, Algar, Ryan. As the international break draws to a close, Sheffield FC and Derby County will compete on a friendly match as both teams look for some last-minute preparation before this weekend’s fixtures. Visitors Derby County will be lead by development coach and former Premier League midfielder Rory Delap. The Rams, who are 121 places above Sheffield FC in the English Football league, are 7th in the Championship table losing just 1 of the last 8 games. Speaking on the upcoming match, Sheffield FC manager Mark Shaw has said “I have to thank Rory Delap for bringing a team up to play us and helping to create a really good link between Derby County and ourselves”. “The games is being used by both teams to help progression and development. From our point of view this is a great opportunity to create a strong link with top quality highly ambitious and organised football club”. Shaw has been experimenting with his team recently, and made 8 changes to the side that beat Newcastle Town 4-3 at the weekend. “Tomorrow is a chance for us to gain match fitness, match practice, a chance to create better cohesion and gel the players and the way we play together”. “We are playing catch up and we need to keep the players active as much as possible. The players did really well on Saturday and we want to keep them playing the right way”. Despite that memorable win at the weekend, Sheffield remain 20th in the Evo-Stik First Division South – 3 points above the relegation spot. Next up for club is a tough trip to 2nd place Alvechurch this coming Saturday. 08.11.17 // "Brighter and Hungrier": Shaw rues missed chances as Frickley progress. Last night saw the Sheffield & Hallamshire Senior Cup Second Round clash between Sheffield FC and Frickley Athletic at the Coach & Horses in Dronfield. The visitors overcame Sheffield 4-0 to make it through to the Third Round. Speaking after the game, manager Mark Shaw said his team were “outworked” and “outmuscled”. Frickley dominated for large parts of the game, scoring two either side of half time. “We didn’t create enough chances, especially in the first half when we had a lot of possession”. “They (Frickley Athletic) took their chances well”, and “created better chances”. Shaw made six changes to his side that drew 2-2 away to Stamford at the weekend, stating that he used the competition to help with player fitness, something he says is “really important” to the club. Frickley forward Jacob Hazel got a brace last night, his fifth goal against Sheffield FC this season. When asked if there was a plan to stop Hazel last night, Shaw said no – “it’s about trying to get close to players all over the pitch, we didn’t do that well today”. “Next time we play him (Hazel), there’ll be someone trying to stop him directly”. Sheffield FC’s next match comes on Saturday when they host Newcastle Town in the Evo-Stik First Division South. “We’ve got a good training session planned for Thursday - the group will be brighter and hungrier”. “Newcastle are on a good vein of form, we’ll be looking for another competitive performance like we did against Stamford”. Sheffield FC (20th) will be hoping for a result against play-off hopefuls Newcastle Town (7th) on Saturday, kick-starting their climb up the table. 06.11.17 // West Ham United sack manager Slaven Bilic. Slaven Bilic was this morning sacked by West Ham United, after the club find themselves in the relegation zone following a 4-1 defeat to Liverpool yesterday. "The situation for West Ham is not good and the club is above every individual" said Bilic after last night's defeat to Liverpool. A strong 7th-place finish in his first season made him a cult hero, but following a mid-table finish in his second and a bad start to this season, the Croatian has been relieved of his duties at the London Stadium. Since the clubs move to the new London Stadium, they have struggled to find Premier League points picking up just two wins this season. Former Everton and Sunderland manager David Moyes has declared his interest in the manager's job at West Ham, with chairmen David Gold and David Sullivan hoping to appoint someone by the end of the week. After his sacking, Bilic stated "I don't feel a broken man… they (the owners) have been supportive, very good to me in my two and a half seasons". Bilic managed 111 games for West Ham United winning 42 (37.84% win), drawing 30 and losing 39. Sheffield FC were deserved winners today as they overcome play-off hopefuls Newcastle Town by 3 goals to 2 in front of a packed-out Coach and Horses, writes Luke Phelps. After a strong start to the game the home fans were disappointed to see Bott put the visitors ahead, but were jubilant minutes later when Williams scored a memorable goal. Ryan rose to put Sheffield in the lead after half time, before a communication error put them back on level terms. All was not lost however as Williams finished from close to give Sheffield the lead. James Gregory came off the bench to zeal the victory for Sheffield, despite Newcastle grabbing a third late on. New signing Louis Jones started in goal for Sheffield. Manager Mark Shaw made eight changes to the side that lost to Frickley Athletic in the week, giving Cecil Nyoni, Adam Chapman, Grant Ryan and Tyler Williams their second starts of the season after signing for the club. Today’s captain Andrew Gascoigne started after being named on the bench against Frickley. Callum Harrison, Julian Lawrence, Jamie Yates, James Gregory, Joel Purkiss started in mid-week but were all dropped to the bench for today. Sheffield were coming off the back of a 4-0 defeat to Frickley in mid-week as they crashed out of the Sheffield and Hallamshire Senior Cup on Tuesday. Club had gone three league games without a win before today, having just won two wins of their last thirteen games. Newcastle on the other have lost twi of their last ten games, picking up nine points on the road this season. The game got off to a slow start. Sheffield had the better of the possession in the opening ten minutes, but the first chance of the game fell to Newcastle forward Matt Thomas. Thomas's effort from the edge of the box was easily saved by new-boy Jones. The home side had their first chance of the game five minutes later, when Nyoni slipped in Ben Algar who featured on the left wing today. Algar’s effort was easily saved by Rajaan Gill in the Newcastle goal. Mark Shaw’s men had been the better team in the opening 20 minutes, Nyoni was controlling the midfield whilst other new signing Williams was causing trouble down the right hand side. Club had a couple of good chances in quick succession. First Adam Chapman who drilled a free-kick into the side-netting, and next Andrew Gascoigne who had fans gasping as his twenty-yard effort flew just wide. Alex Brown had the best chance of the half for Sheffield, as he drilled a shot across goal which almost found the foot of Williams at the back post before the ball went out of play. Continuing to push for that opening goal, Sam Finlaw was the next player to come close as he put his shot over the bar after good play down the left by Algar and striker Grant Ryan. With just five minutes of the half remaining, Newcastle took the lead. Full-back Sam Wilson fed striker Bott (40) who turned his marker to find himself one-on-one with Jones. Bott kept his head and finished neatly to out his team in the lead. Just as it was destined to be a tricky half-time talk for Shaw, Williams (45) produced a moment of magic. The winger cut inside onto his left foot and curled a beautiful stoke into the top left corner, his second goal in as many games for club. HT: Sheffield FC 1-1 Newcastle Town. Sheffield started the second half brightly having a lot of possession in the Newcastle box but failing to create a goal-scoring opportunity. The game was becoming scrappy especially in the midfield region. Chances were few in the opening fifteen of the second, striker Ryan was gifted one when Gascoigne played him through but the target man couldn’t test the keeper. It was Ryan who had the next chance and he took it beautifully. After good build-up play winger Algar crossed in towards Ryan (62) who made the finish look easy as he headed past a beaten Gill in the Newcastle goal. In a frantic period of Sheffield pressure, Brown almost caught keeper Gill off-guard when his cross was heading for the top corner only for the keeper to find his feet and parry the ball. The Home side were caught sleeping when a cross came into their box, two defenders could not clear which left Newcastle defender Wilson (70) to head in an easy goal. In a game that was entertaining from the first whistle, Algar who was superb for Sheffield today had an effort cleared off the line just after scoring. Just moments after however, Sheffield restored their lead with fifteen remaining. A short corner came to Williams (73) who weaved his way into the box and blasted home Sheffield’s third goal of the game. ​The third goal dealt a hard blow to the visitors, as did the fourth. Substitute James Gregory (84) burst through the Newcastle defence and produced another neat finish through the legs of Gill. Bott (90+2) got his second of the game late on, again tapping in from close range after a ball flew across the Sheffield six yard box but proved to be nothing more than a consolation goal. Mark Shaw will be pleased with his teams performance today as they stood strong in the final exchanges, putting on a good show for the fans and fully deserving their three points. Man of the Match: Tyler Williams. ​The new signing from Goole team the Newcastle defence ragged today. Starting on the right, Williams was a threat all game and deserved his two goals. Sheffield FC: Jones, Turner, Brown, Nyoni, Hadfield, Chapman, Gascoigne (c), Finlaw, Ryan, Algar, Williams. Newcastle Town: Gill, Wilson, Bridge, Bradbury, Askey (c), Dennis, Bott, Lee, Thomas, Bailey, Kapend. 10.11.17 // Match Report: Sheffield FC U21 v Handsworth Parramore U21. Handsworth Parramore Under-21’s put 4 past Sheffield FC Under-21's to go top of the Worksop Van Hire North Midlands Division 1. Sheffield were coming off the back of a strong 4-0 win at Staveley Miners Welfare, but were beaten 4-2 in their last home game against local rivals Hallam FC. Five of Handsworth’s opening six games this season had been away from home, winning two and drawing three. The visitors hadn’t won in three games however, the last win coming against Sheffield FC earlier in the season which finished 5-3 to Handsworth. The win moves Handsworth to the top of the table thanks to goal difference, whilst Sheffield remain in 4th. The Home side started sloppily and could've been a goal down within seconds, Handsworth striker Mo Saeed couldn’t keep his shot down. Seconds later winger Sam Kay slipped in Luke Francis who's parried effort fell straight to Kay, who should've put Sheffield ahead but missed the target. The game began to settle but it was Handsworth having the better possession. Dixon looked lively and had a long range effort easily saved, before firing wide from inside the box after a loose ball feel his way. Sheffield's next best chance came when full-back Sam Gibson swung in a free kick which fell to the feet of Harry Taylor who couldn’t find the finish as the defence swarmed him. The game got it’s first goal when Handsworth forward Thiago Bravo slipped through Dixon (27) who finished coolly into the far past under keeper Jamie Ingham, 1-0 Handsworth. Minutes later the deficit was two. Saeed brought down a long ball and cut inside to feed in Mitchell (30) who again had time and space to make it 2-0 Handsworth. Sheffield grew into the game leading up to half time but couldn't craft a goal-scoring opportunity. HT: Sheffield FC U21 0-2 Handsworth Parramore U21. Sheffield started the second half well, fashioning a chance for striker Luke Francis who couldn't find the target after poor communication in the Handsworth defence gifted him the ball. Dixon caused problems for Sheffield all game and forced a corner from keeper Ingham when he saved at his near post after the struck from the edge of the box. The visitors seemed fatigued as their dominance began to wear off, allowing Sheffield a period of pressure. As the home side were doing so they were hit on the counter and should’ve been punished. Full-back Ellis Moore whipping a delightful ball into the box which was met by a sliding Bravo, who couldn’t convert from close range. The game was simmering out but found life when Dixon (72) ran with the ball after a good move down Handsworth's left, and calmly netted into the far corner past Ingham, 3-0 Handsworth. ​The Home side were looking for a consolation goal but lacked the cutting edge in the opposition’s third, James Hastings looked most likely to provide a goal but failed to test Jake Lancini, who had a quiet night in goal for Handsworth. Ingham was tested from distances a few times in the final minutes but nothing to trouble him. FT: Sheffield FC U21 0-4 Handsworth Parramore U21. Handsworth made it four shortly after, when a penalty box scramble gave them a corner. It was substitute Darwent (76) who nipped in front of his marker to head home, 4-0 Handsworth. ​Sheffield FC Under-21: Ingham, Evans, Gibson, Jewitt, Pedler, Howe (c), Kay, Taylor, Francis, Gadour, Hastings. Handsworth Parramore Under-21: Lancini, Samuels, Moore, Mitchell, Tyler, Cropper, Howson, Turner (c), Bravo, Dixon, Saeed. 10.11.17 // Match Preview: Sheffield FC v Newcastle Town. Sheffield FC (20th) host Newcastle Town (7th) on Saturday in this Evo-Stik First Division South clash at The Home of Football. The home side are slowly crawling to safety after a positive 2-2 draw away to Stamford last time out in the league. Sheffield are without a win in 3 league games now, and have won just 2 of the last 13 games. Manager Mark Shaw will be looking to build on Sheffield's home form, who have taken 8 points from a possible 16 at home this season. Newcastle Town come into this match with good form, beating Gresley last time out and losing just 1 of the last 9 games in all competitions. The visitors have been tough to beat on the road, losing just 2 all season and picking up 9 points. Sheffield and Newcastle played three times last season, of which Newcastle won twice and Sheffield once - Newcastle won at The Home of Football 2-1. Despite being in 7th place, Newcastle have only scored 23 all season - 2 less than Sheffield - but have conceded 19 - exactly half of the amount of goals conceded by Sheffield in the league this season. One to Watch: Jordan Cole. The former Port Vale striker has been in prolific form this season, netting 8 times - 4 of which came in a single league game against Spalding earlier in the season. The striker is something of a free-kick specialist, and is often used as an impact substitute late on in games. Shaw has four players hoping for a return on Saturday. Goalkeeper Laurence Bilboe is due to make a comeback after being out injured, as to is Alex Brown who sustained a head injury in the 2-2 draw at Stamford. Meanwhile, Grant Ryan is available for selection after suspension, and midfielder Adam Chapman could make his first start of the season. Location: The Home of Football. 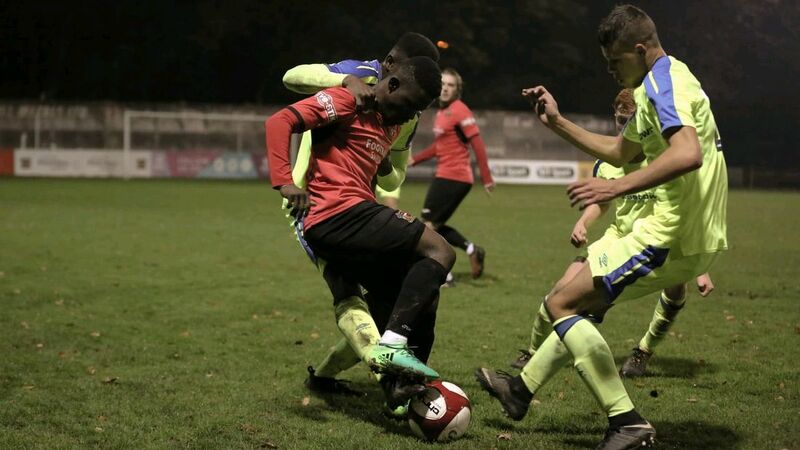 Sheffield FC crash out of the Sheffield and Hallamshire Senior Cup in the Second Round after a 4-0 defeat to Evo-Stik South rivals Frickley Athletic. The home team made 6 changes to the side to drew 2-2 away to Stamford last weekend. Andrew Gascoigne drops to the bench with Ricky German and new-signing Cecil Nyoni amongst those not in tonight’s team. James Gregory, Joel Purkiss and Jamie Yates all start after featuring on the bench against Stamford. Sheffield FC kicked off under the lights, and should arguably have been behind within the first minute of play. A deflection looping over the Sheffield defence and falling onto the head of Frickley’s Danny Frost who’s tame effort was smothered by home keeper Ben Ledger. Ledger had a busy opening 10 minutes, again denying Frost on two separate occasions with a couple of strong saves to keep his team in the game. At the other end of the pitch, Sheffield’s first chance of the game fell to Lewis Price who danced his way through several Frickley defenders in the penalty box but fired straight at keeper Seb Malkowski. It was the visitors who struck first, striker Hazel (17) nipping in at the near post to finish after a well-worked moved down the right flank, 1-0 Frickley. Hazel, who scored a hat-trick against Sheffield FC in the FA Trophy last month, looped a fantastic volleyed effort towards goal just minutes after scoring, only to be parried wide by Ledger. Frickley were pushing for a second goal, and almost found it when captain Jameel Ible headed towards goal twice in quick succession, but the centre half couldn’t convert. Sheffield FC grew into the game and started to link the passes together, they couldn’t however prevent Frickley from doubling their lead. Steve Hopewell slipped through Frost (33) who converted the rebound after Ledger saved his first effort. Both Hopewell and Frost had chances before the break, but couldn’t find a way past Ledger to add a third to what was a dominant half. Manager Mark Shaw introduced attacking midfielder Andrew Gascoigne at half time, and the home side started the half positively. It was the substitute who had Sheffield’s first chance of the half, heading wide from a Ben Algar free-kick. Midfielder Sam Finlaw picked up a yellow card and gifted the opposition a dangerous free-kick, but striker Hazel could only drill his effort into the wall. The game was slipping away from Sheffield FC who had been the better side in the opening 20 of the second half, and Shaw introduced pacey forward Frank Koroma to the game to try and find a way back into this tense cup-tie. Frickley had a period of pressure with 15 to go, Hazel setting up Jack Burton who drilled his shot straight at Ledger, before Hazel himself clipped the crossbar with a curling effort from the edge of the box. Minutes later that man Hazel (74) wriggled his way through the Sheffield defence and drilled a shot towards the far-right corner. Ledger got a hand to it but couldn’t keep it out, 3-0 Frickley. The deficit was four not long after, substitute and former Sheffield FC man Fabian Bailey (82) came back to haunt the home side, towering a header in from the near post to make it 4-0 to the away side. ​Both sides look fatigued as they played out a scrappy final twn minutes of the game, the home side having possession down the right as they did for much of the second half, but failing to trouble Malkowski in the Frickley goal. FT: Sheffield FC 0-4 Frickley Athletic. Sheffield FC: Ledger, Tuner, Algar, Harrison, Lawrence, Adams (c), Price, Finlaw, Purkiss, Gregory, Yates. Frickley Athletic: Malkowski, Darker, Hough, Burton, Ible (c), Patterson, Bloor, Hazel, Hopewell, Frost, Dugdale. ​Man of the Match: Ben Ledger. Despite conceding three goals, the keeper who has been filling in for Laurence Bilboe had an excellent game, denying several Frickley chances in the first half. Sheffield FC look to progress to the third round of the Sheffield and Hallamshire Senior Cup tonight against Evo-Stik South rivals Frickley Athletic. The game is one of many taking place in South Yorkshire tonight, Stocksbridge Park Steels and Hallam FC also play tonight. The home side smashed Rossington Main 4-1 in the first round, but have only won 1 of the last 10 games in the league. 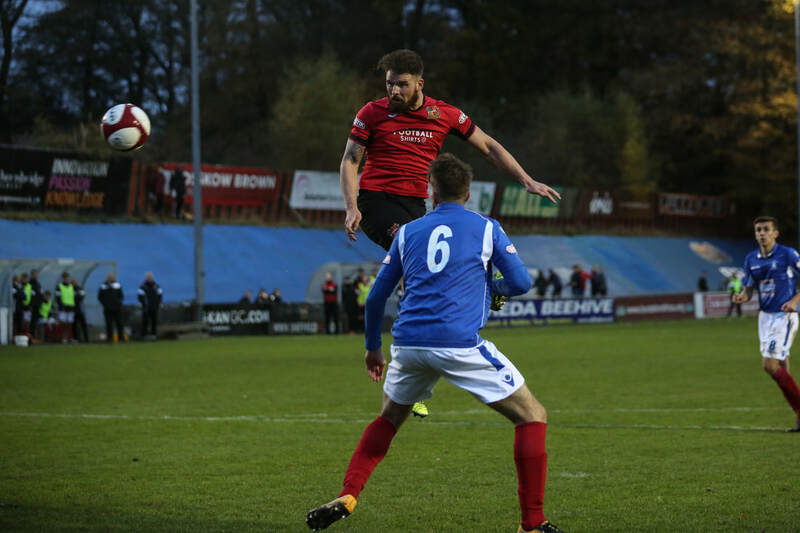 A point away to Stamford at the weekend was a good result for the new-look Sheffield FC, who started four new signings including goal-scorer Tyler Williams. West-Yorkshire rivals Frickley Athletic find themselves in 7th place in the league, who have lost just 1 of the last 7 games. Frickley are the leagues 2nd highest goal-scorers netting 34 this season, striker Jacob Hazel being the one to watch. The two sides met in the FA Trophy a month ago today, ending 3-0 to Frickley who make their first appearance in this seasons Sheffield and Hallamshire Cup tonight. Alvaro Morata scores the only goal as Chelsea beat Manchester United 1-0 at Stamford Bridge. Chelsea dominated for most of the game, and found the goal they wanted when Morata headed them into the lead. Manchester United looked weak as they failed to breach a solid Chelsea defence. The home side remain fourth as the win closes the gap to 2nd place United to just 1 point. Antonio Conte made 3 changes to his Chelsea side that were beaten 3-0 in the week by Roma, dropping David, Luiz, Antonio Rudiger and Pedro. The Premier League champions were looking for their fourth league win in a row as they looked to join the title race. Manchester United kicked-off in 2nd place, losing just one game all season and conceding just 1 goal in their last 7 games. After a 2-0 victory of Benfica in the week Jose Mourinho made 6 changes to his side, dropping player of the month Anthony Martial to the bench. Both sides looked nervy in the opening stages, before controversy struck in the 6th minute when Phil Jones nailed a spectacular volley past his own keeper. The referee came to Jones’ rescue disallowing it for a push on Jones from Alvaro Morata, much to the disbelief of the Spanish striker. The home side dominated the opening 10 minutes, and Tiemoue Bakayoko had a goal-scoring opportunity when Morata fumbled the ball to him inside the box, only for Bakayoko to blaze it wide. 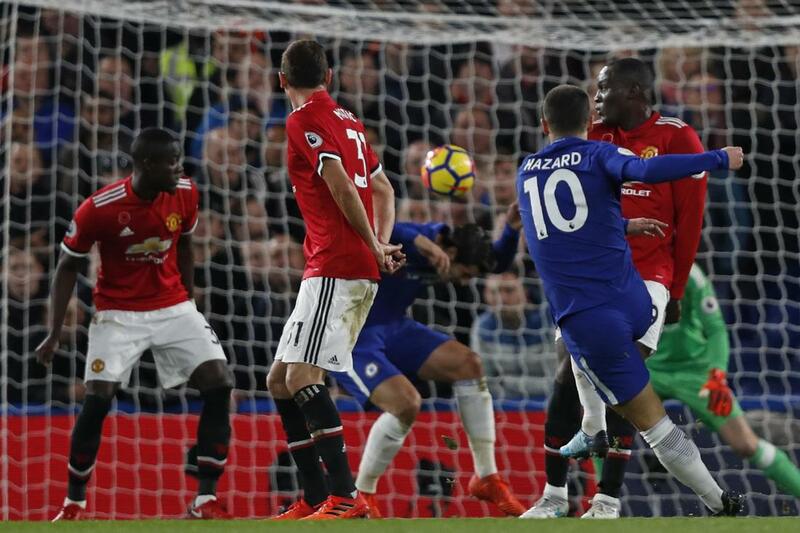 Thibault Courtois was called into action shortly after when Romelu Lukaku was allowed to turn and shoot on the edge of the Chelsea box, forcing a good save from the keeper. A busy opening 20 was capped off by a thunderous Eden Hazard strike from 25 yards which needed a strong hand from United’s David De Gea. United grew into what became an entertaining first half of football, both teams had half chances but failed to make anything count. The next best chance of the game came on 38 minutes and it fell to Andreas Christensen, who headed over a Cesc Fabregas corner from 6 yards out. Conte’s men dominated the first half, and probably felt aggrieved going in for half time at 0-0. Chelsea started the second half brightly, and should’ve been ahead when Hazard hit straight at Courtois from close range after Marcos Alonso crossed in. The opening goal came on 53 minutes and from the opposite flank for the home side. Cesar Azpilicueta placing a pin-point cross onto the head of Morata, who looped a brilliant over the helpless De Gea – 1-0 Chelsea. Following the deficit, Mourinho introduced Marouane Fellaini and Anthony Martial to the game and changed to four at the back. The height of Fellaini set up chances for Marcus Rashford and Ander Herrera, but nothing troubling Courtois. Fellaini should’ve been punished minutes later for a back pass to Chelsea’s Bakyoko, which he pushed wide from inside the box. Chelsea began to reassert their authority with 15 minutes left, Hazard also having a good chance to score but firing straight at Courtois. ​United pushed for an equaliser late in the game and came close with Rashford, who drilled a shot just wide of the post from 20 yards. The save of the game came from Courtois on 88 when that man Fellaini controlled the ball in the box and turned to shoot, forcing a cat-like from the Chelsea Keeper. Four minutes of added time brought four minutes of Chelsea defending. Conte’s men stood strong in the face of United’s attack, holding out for an impressive 1-0 in what was a thrilling game of football. As Watford line up to face champions Chelsea on Saturday, they will be going into the game with form and confidence. The Hornets 2-1 victory over Arsenal last Sunday moved them up to fourth in the Premier League, and marks their third consecutive away win. The early signs for Watford are positive, but what has new manager Marco Silva done to get them playing attractive football and picking up wins? Marco Silva joined at the end of last season as he failed to keep relegated Hull City f=in the Premier League. Despite this, he did impress in his short time at there, which lead to him being appointed Watford manager after Walter Mazzarri faced the sack. Given the summer to prepare his new Watford team, Silva has brought a passing style-of-play as well as a tenacious 'all or nothing' mentality to the team. This was evident against Arsenal on Sunday, Troy Deeney led an aggressive Watford side that made The Gunners feel uncomfortable - Deeney himself said - 'we're big, we're ugly, and we get in your face'. This style of play however can easily be thwarted by simply better football. Watford's 6-0 drubbing at the hands of Manchester City is a prime example - Watford attempting to pass it out from the back whilst Guardiola's men press high and score six. The star signing of the summer - Richarlison, has scored three goals in all for Watford this season. Currently at the centre of a diving scandal which has upset Arsene Wenger, Richarlison is quickly becoming a fan favourite at Vicarage Road. Also stepping up to the mark is former Manchester United man Tom Cleverly, who believes Silva is just as good as his old boss Sir Alex Ferguson. If Watford are to last the pace, they need to keep key players fit obviously, but the key is to retain that underdog mentality - the 'Leicester' style. 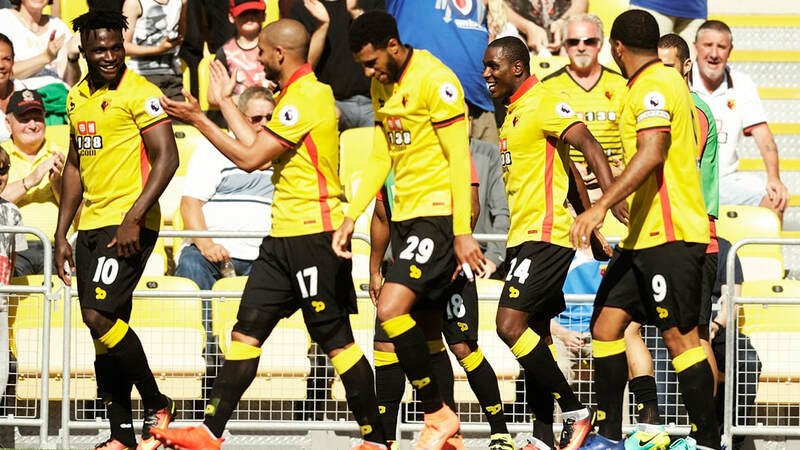 With a capable manager and a capable team, Watford could be set for their best ever finish in the top flight. Sheffield FC look to bounce back from disappointing Corby defeat away at Stamford. The first team travel to 10th place Stamford as they look for their first league victory since the start of October. Sheffield FC who currently lie in 21st place, are yet to pick up a win on the road this season whereas opposition Stamford are yet to lose at home in the league. 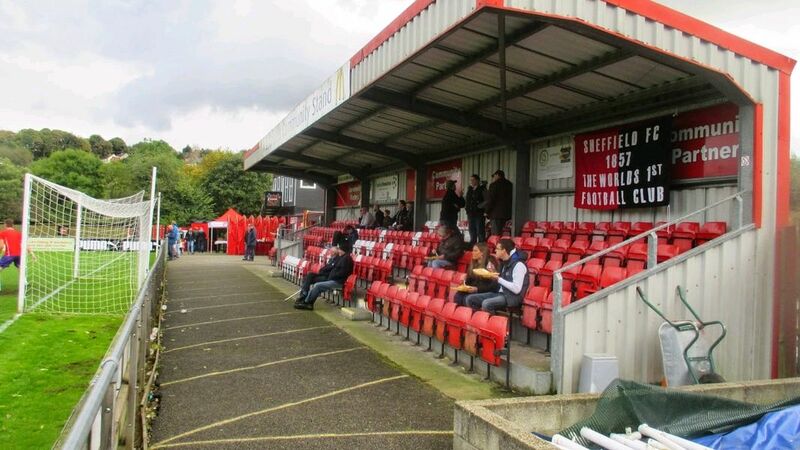 Last time out, Sheffield FC lost 3-2 to Corby Town after taking a 2-1 lead. Manager Mark Shaw claims to have been busy in the two-week break, working hard on player fitness and organisation on the pitch, Shaw is also hoping to reveal several new signings on Sunday. Scoring goals is not the problem for Sheffield FC, having netted 23 in 15 games this season, it is conceding them. Only bottom-team Romulus has conceded more than Sheffield FC in the league this season. Fans will be hoping that our player of the month - defender Ben Turner will be on top form this weekend as they look to get off the mark on the road, and start their climb to safety. Opposition Stamford are the league's form team: losing just one of the last ten games, and winning seven. Stamford won their last outing 3-0 in the FA Trophy against nine-men Sutton Coldfield, but lost their last league game 2-0 away to promotion hopefuls Frickley Athletic. ​Sheffield FC will have to watch out for top-scorer and last season's player of the year Jake Duffy, who has scored six in all this season for Stamford. At the other end of the pitch, Stamford boast the league's third tightest defence, conceding just thirteen all season as they look for their sixth consecutive clean sheet. ​Location: The Vic Couzens Stadium. News regarding Syria is often bleak. This week however, the Syrian National football team has given journalists a chance to publish something positive about the war-torn country. Forward Omar Al Soma converted a penalty in the 85th minute in the first leg of the Asia World Cup 2018 qualifiers play-off final against Australia this afternoon. Syria are set to play the second leg against Australia in the ANZ Stadium in Sydney on (UK time) Tuesday morning. If Syria win, it’ll be their first appearance at the World Cup. Their road to the play-off final was a long one. Firstly they had to qualify from a group, just like the European qualifying games, but then Syria had to qualify from another group consisting of all the winners of each group, just to get to the play-off final. Already qualified from Asia are; Iran, South Korea, Japan and Saudi Arabia. Syria finished second to Japan in Group E, a somewhat polarised group with Japan winning seven of eight, scoring twenty-eight and conceding none. Following qualification from Group E, they faced the challenge of qualifying from Group 2A which also featured Japan, China and Iran. 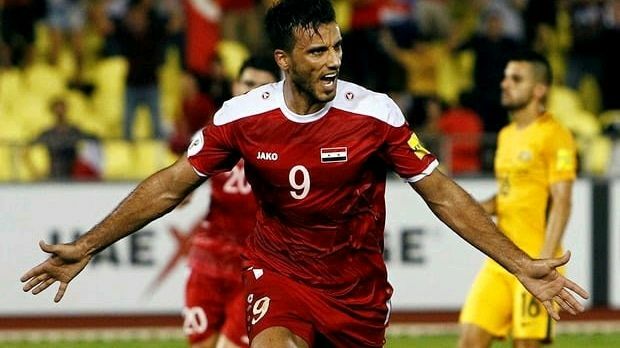 Syria qualified ahead of Uzbekistan on goal difference after a dramatic injury time equaliser in their last group game against Iran, coming from that man again – Omar Al Soma. The players and the manager will be grateful of this chance, and will Australia a lot of respect as they themselves are the underdogs. It’s safe to say that Syria’s appearance at Russia next year would be greatly welcomed by all within the football world. Dave McCarthy’s XI put 9 past Classic Football Shirts on a proud night of football for Sheffield FC at the Coach and Horses. Classic Football Shirts kicked off under the lights as they faced Dave McCarthy’s XI in this exhibition match celebrating the 160th birthday of the world’s first football club – Sheffield FC. McCarthy’s XI remains relatively unchanged from their last outing against Inter Milan ten years ago, with thirteen members of the squad returning – all wearing our limited edition heritage jersey. Sporting a royal blue and white strip was the Classic Football Shirts XI managed by former England and Sheffield Wednesday man Chris Waddle. The opening twenty minutes were fairly open, Jeremy Palisse missed a good chance to score from the edge of the box but pushed his effort wide. McCarthy’s men grew into the game and were rewarded on twenty-five minutes when a cross from the right hand side was fumbled by Classic Football Shirts keeper Stefano Moioli, falling kindly into the path of the on-rushing veteran Vill Powell who got the ball over the line. The home side doubled their lead just five minutes after scoring. This time it was Gav Smith on hand to finish as a cross again from the right hand side found him – 2-0 to Dave McCarthy’s XI. The visitors struggled to break into the home half but almost pulled one back after the restart – winger Alin Gagiu curling a speculative effort just wide. Chris Waddle’s side had a nightmarish end to the first half conceding not once, but four times in the final ten minutes. The third of the game was scored by Smith, the fourth by Vill Powell who tapped into an open net for his second of the game, and the fifth by David Wilkins who slotted neatly past Moioli from within the box. The sixth and final goal of what was a half to forget for Waddle’s men, came courtesy of Daz Winter who was allowed space to bring down a corner from the left before netting to make it 6-0. Half-time came as a blessing to Waddle, who brought himself into the game. His side started well but were breached for the seventh time just ten minutes into the second half. Good midfield play from Smith set up David Wilkins for a simple finish. Powell got his hat-trick two minutes after. The home side winning a free kick on the edge of the box which was whipped in to the six yard box and met by the head of Powell – 8-0 to McCarthy’s XI. The ninth came on sixty-three minutes when a failed clearance fell to Wilkins inside the box, who calmly netted past Moioli for his second of the game. The game got its tenth goal on seventy minutes, but it was the away team who got it. McCarthy’s defence was solid until a stray pass found Iliyah Shubarhov who took his time and put the ball through the legs of keeper Danny Haystead. Blushes were spared for Classic Football Shirts’ defender Gregg Lee who thought he had made it ten for the home team, only to be saved by an offside decision from former Premier League referee Uriah Rennie. Both teams looked fatigued as they played out the final ten minutes of a goal-packed game at The Coach and Horses which finished 9-1 to Dave McCarthy’s XI. 13.10.17 // Did Scott Sinclair deserve an England call up? In a recent interview with Celtic winger Scott Sinclair told the BBC that he aims to silence any critics of Celtic in their upcoming Champions League games. The Bhoys responded to their 5-0 home drubbing to PSG by impressing with a 3-0 against Belgian side Anderlecht, with Sinclair adding his ninth of the season so far. Scott Sinclair's career came to life when he joined Swansea after spending five frustrating years at Chelsea, playing for five different teams on loan. Sinclair was one of the stars of Swansea's explosive introductory season to the Premier League finishing 11th under Brendan Rodgers, adopting the tika-taka style that we are now all too familiar with. After three seasons with the Swans bagging 28 from midfield, Sinclair was swept up by Manchester City for a fee of £8m in 2012 but failed to make his mark on the first team playing just 12 games in three seasons before leaving for Aston Villa on loan, whom he later signed for. In difficult circumstances, Sinclair helped Villa climb away from the relegation zone before he decided a change of scenery was yet again necessary, that’s when he re-signed for Brendan Rodgers at Celtic for an undisclosed fee. Two seasons and 24 goals later, Scott Sinclair now finds himself in some of (if not the) best form of his career. The idea of an article on Scott Sinclair arose to myself in the mist of Gareth Southgate's England squad for the upcoming qualifiers against Slovenia on Thursday and Lithuania on Sunday, which as ever has been disputed. In a 26-man squad that features four goalkeepers, ten defenders and the likes of Alex Oxlade-Chamberlain, Jesse Lingard and Daniel Sturridge, it is baffling how there has been no mention of Celtic's Scott Sinclair. Between the Ox, Lingard and Sturridge they have the same amount of goals in the last two seasons as Sinclair himself - he even has more in the last two seasons than Oxlade-Chamberlain has had in the last eight. Obviously, the standard of football in the Premier League dwarfs that of the Scottish Premier League, but who's to say that Sinclair shouldn’t be in Southgate's England team - a nation historically stereotyped with a lack of wide midfielders. Whilst out in Scotland, Sinclair will be forgotten about by Gareth Southgate and indeed most football fans. He may well be content with frosty away trips to Kilmarnock in the heart of winter, but to play at the highest levels he must once again prove himself at the highest (club) level of them all -the Premier League. We’re now eleven games into the Championship. Cardiff leads the way whilst Bolton trails the pack. As with much of European football, the Championship hosted a hectic summer of business - much was expected of relegated Middlesbrough, and the high spending Aston Villa. Nothing of Bolton, or even Cardiff for that matter. Predicting what may occur in the Championship is somewhat difficult, but I’ve had a go anyway. Below is my prediction for the rest of the season. Right now there are three favourites for the Championship title – Cardiff, Wolves and Leeds; I expect this to stay for the remainder of the season. Cardiff are in a better position for promotion than they’ve ever been, with veteran Neil Warnock at the helm Cardiff should see off the title after victories over both Leeds and Wolves. Like their Black Country counterparts Aston Villa, Wolves spend big over summer; Reuben Neves was the marquee signing at £15.8m. They’ve been going quietly about their business and find themselves in second place, whilst promotion rivals Leeds lie in fifth following a 3-0 thumping at the hands of Yorkshire rivals Sheffield Wednesday. Leeds’ manager Thomas Christensen has impressed after their was scrutiny over his appointment, and moulded a new fan favourite in Sam Saiz. Wolves are said lack squad depth so keeping Neves and top scorer Diogo Jota match-fit is crucial if they want to beat Leeds to Premier League. No matter how much ‘we all hate Leeds scum', they’re a big club that would only better the Premier League. I feel they and the fans have learnt from last year, and won’t make the same mistake. New boys Sheffield United are sitting pretty in third. Manager Chris Wilder is searching for his third promotion in as many seasons. The Blades are definitely the surprise package of the season so far, winning the Sheffield derby along the way. As for Sheffield Wednesday, inconsistentency is again their downfall. Last week’s hammering of Leeds preceded a 1-0 defeat at the hands of struggling Birmingham. The likelihood of a Sheffield derby in the Play offs however is still probable. Bristol City is another team who are defying the odds, eleven games unbeaten and taking fourth place in the Championship. Head coach Lee Johnson seems to have an eye for a striker, signing Tammy Abraham on loan in his first season with Bristol City, and breaking the club’s record transfer on forward Famara Diedhiou In a deal worth £5.3m. Preston North End is a team that have been knocking on the door of the play-offs for the past few seasons now. Currently they are just in the play-offs in sixth, and are putting in solid displays both home and away, scoring plenty of goals. However, the middle of the table is occupied by several teams expecting to be in the play-offs by the end of the season. Bristol and Preston will have to remain focussed, and both managers should to deepen their squad in January to survive the hectic calendar of the Championship. As it stands, seventh to eleventh place in the Championship reads: Aston Villa, Ipswich Town, Norwich City, Fulham, and Middlesbrough. All in all, Aston Villa is having a fairly good season so far. Yes, the expectation is that they should be challenging for the title, but the reality is that they were not prepared for the unpredictability of the Championship. Four win in the last five however puts them in a firm position to break into the play-off places. Ipswich manager Mick McCarthy will be hoping that this is finally Ipswich's season. As he approaches the 250 game mark for Ipswich, he is yet to secure a play-off finish for his team and is again loitering just on the brink. Just behind Ipswich in ninth place, and sporting an unusual negative goal difference is Norwich City. The Canaries look as though they're employing the same tactic as last year's promotees Huddersfield by appointing a German manager is Daniel Farke. Farke has made a steady start to life as Norwich manager, but goals seem to be a cause for concern. Looking at the teams above and below both Ipswich and Norwich, the East Anglian rivals are likely in for a frustrating season on the periphery of the play-offs. Middlesbrough is a new, but old face of the Championship. They currently lie in eleventh place, struggling again from inconsistency which is prevailing as a major issue for many sides in the league. Coming from the Premier League, the team will take a while to get back to Championship fitness - playing two games a week. Standard. Manager Garry Monk will be frustrated as it seems to be his misbehaving fans that are in the headlines more than himself or the players. Middlesbrough no doubt, is still contenders for play-offs. As are Fulham, who are coming off the back of a West London derby win over QPR. Fulham have been dragging their feet since their entrance to the Championship in 2013, but manager Slavisa Jokanovic has brought faith back to Craven Cottage, and Fulham find themselves again as favourites to seal a play-off place. 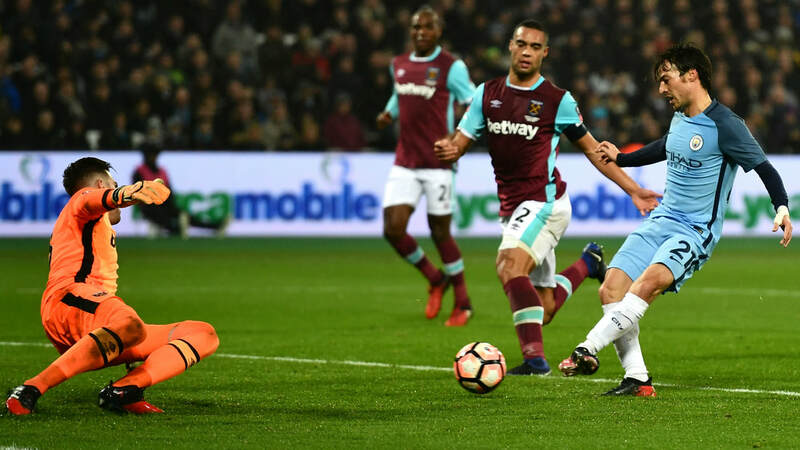 Slavan Bilic’s West Ham United will tonight line up against Brighton and Hove Albion at the London Stadium as both teams look to move into the mid-table region. Visiting Brighton will be without creative midfielder Tomor Hemed through suspension and centre-back Bruno who’s ruled out with a neck injury. 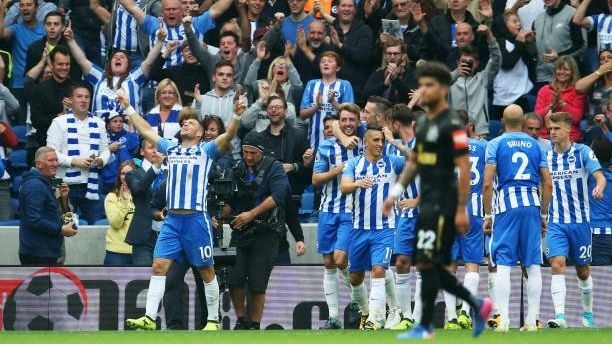 Chris Hughton’s men are yet to pick up a win on the road since their introduction to the Premier League, and have only won once since the start of September. West Ham will be hoping for a repeat performance from the last time the two teams met in the 2012/13 Championship season where the Hammers won 6-0. They too are without key players – Andy Carroll who saw red in his last match is suspended, and summer signing Chicarito is out injured. Bilic’s men will be looking bolster their form of one loss in the last six games tonight, but face plucky opposition in Brighton. 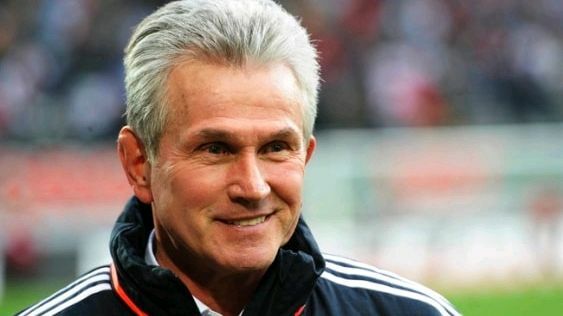 At the ripe old age of seventy-two, Jupp Heynckes has been appointed as manager of Bayern Munich for the third time. Heynckes takes over a Bayern team that are five points from leaders Borussia Dortmund, and have just been beaten 3-0 by PSG leading to previous manager Carlo Ancelotti’s sacking. Bundesliga scoring 220 goals making him the leagues third highest goalscorer of all time. He began his career at his childhood team Borussia Mochengladbach way back in 1963, where he stayed four seasons before moving to Hanover 96. After three seasons with Hanover, Heynckes returned to Mochengladbach where he saw off the rest of his playing career. At international level, Heynckes scored 14 goals in 39 appearances for then West Germany, winning the World Cup in 1974. Straight after his retirement, Heynckes was appointed assistant manager at Mochengladbach, and a season later as manager. In eight seasons Heynckes guided his team to four top four finishes but failed to win a trophy, earning him the nickname “the champion without a nickname”. In 1987 Heynckes was appointed manager of Bayern Munich, where he went on to win back to back titles and two German Supercups in four seasons there. Heynckes left for Atletico Bilbao in 1992 marking the start of a lengthy career at clubs all across Europe including; Frankfurt, Tenerife, Real Madrid, Benfica, Schalke, Mochengladbach (again), Bayern Munich (winning the treble in the 2012/13 season), Bayer Leverkusen and now for a third time, Bayern Munich. ​Tactically, Heynckes favours the 4-2-3-1 formation. In his previous spell at Bayern, they would win games by sitting back and then pouncing on the counter using pace on either side of the pitch. Bayern are lacking the pace they had in their treble winning season under Heynckes, Arjen Robben and Franck Ribery continue to be plagued by injury. Nevertheless, Heynckes is in a good position to have another successful stint as Bayern manager, but faces tough competition from Dortmund in the league. 10.10.17 // Should the premier league introduce a winter break? Last week Mr Tom Watson MP - Shadow Secretary of State for Digital, Culture, Media and Sport, wrote a letter to Richard Scudamore - Executive Chairman of the Premier League, regarding the Christmas schedule for Premier League teams. Fixture congestion has always been an issue at for Premier League teams at Christmas but with the 2018 World Cup just around the corner, the season will have to be shortened. This Christmas, Premier League teams are set to play six games in just seventeen days between 16th December and 1st January - including games on Christmas Eve for the first time in twenty-two years in the Premier League. Last season, Premier League teams played four games between 16th December and 4th January. The idea of a introducing a winter break into English football has been toyed with for the past few years. In all of Europe's major leagues there is a winter break, with Germany's spanning over thirty days. The purpose of a winter break is to allow players to recover and obviously, spend time with their families. For overseas players, it gives them an opportunity to travel home for a while. It appears however that the introduction of a winter break to the Premier League is getting further away. Talks over the proposed 'Whole Game Solution' in which English football would be restructured to accommodate five divisions consisting of twenty teams - allowing a winter break for Premier League teams, broke down in November last year. It's not only players who feel the strain of the Christmas period, managers are also keen to introduce a winter break too (or at least reduce the congestion of this period). Top managers including Sir Alex Ferguson, Roberto Mancini and Arsene Wenger, have all publically criticised the fixture congestion over the Christmas period - Wenger claimed that last years was the "most uneven Christmas period" that he had seen in twenty years as a manager. Jose Mourinho has also spoken out about it, claiming that the bigger teams will play more matches over Christmas as these are the games that people want to be televised. Another critic of the Christmas schedule is German outfit Jürgen Klopp, who claims that Liverpool's Christmas coming up is the "worst you can get" as a manager. 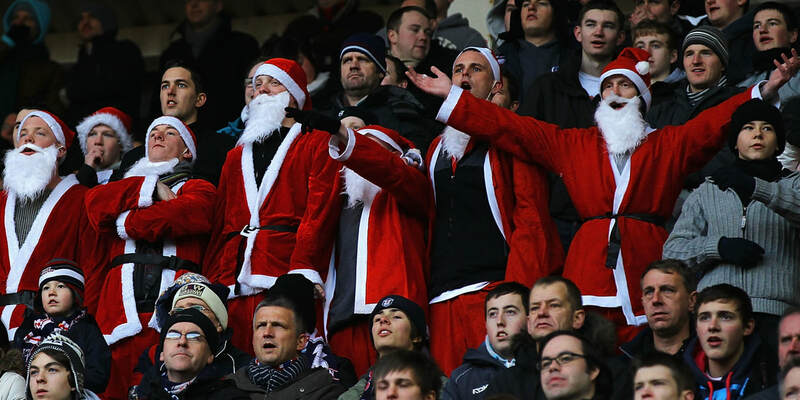 As fans, football is the best part about Christmas. We forget about the players mental and physical capabilities. Obviously the Premier League is the biggest and best, most televised league in the world, but over-scheduling at Christmas is leaving our players in a bad position to continue the second half of the season - perhaps why English teams are so unsuccessful in the Champions League in recent years. However, money talks in football as it does anywhere else; the league can't risk its reputation and TV viewership in exchange for giving the players a break at winter. 09.10.17 // The Premier League's three worst ever teams - will Crystal Palace be joining them? With the end of another tedious, disappointing International break, we can again look forward to the return of the Premier League. Still searching for their first goal, let alone their first point, is Roy Hodgson's Crystal Palace. 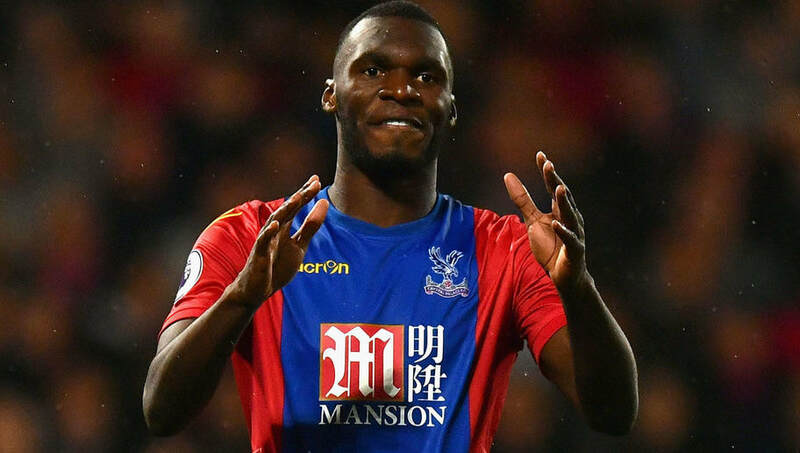 After conceding nine in their last two games (albeit it against Manchester City and Manchester United) and losing their main goal threat Christian Benteke, Palace look set for a woeful season of goalless football. In light of Palace's misfortune, this article uncovers the three worst Premier League teams since its formation in 1992. Portsmouth 2009/10 - 19 points. The 2009/10 season marked the start of a slippery slope for Pompey, who now find themselves in fourth tier of English football. Then manager Paul Hart entered the season not-so full of optimism, as his side were knee deep in financial trouble and were forced to enter administration and sell their key players. He was predecessor to Israeli Avram Grant who took over in November, who guided his team to the FA Cup only to lose to his former employers Chelsea; he couldn't however save the team from relegation. ​Sunderland 2005/06 - 15 points. Through the seasons, Sunderland never generates much media attention. Usually starting off poorly but saving themselves from relegation in the latter part of the season. Unfortunately for Sunderland in the 2005/06 season, manager Mick McCarthy and later Niall Quinn, could not save the Black Cats. The problem this year was transfers. Twenty-one players left the club that year either for free or for a fee, or they were loaned out, granting Sunderland with a total of just £225K. They did however find over £2 million to spend on their strike partnership consisting of Jon Stead and Daryl Murphy - both notching just a single Premier League goal each that season. ​Derby County 2007/08 - 11 points. Taking the title of 'worst Premier League season' is Derby County. Manager Billy Davies left the sinking ship in November when Paul Jewell took the hot seat. Jewell went on to break all kinds of records including most top-flight league games without a win (32), fewest wins in a Premier League season (1), and obviously least points scored in a season. It is hard to pin-point exactly what went wrong at Derby County, attendance was high - an average home crowd of thirty-two thousand, and the owners spent relatively well spending approximately £14 million over the course of the season on players such as Robert Earnshaw and Claude Davis. So will Crystal Palace be joining this illustrious list of the Premier Leagues worst ever teams? Roy's men line up against champions Chelsea on Saturday, so it is likely that they may have to wait a bit longer for their first points… and goals. Palace have already set one record - the only team to play five top-flight games without scoring, so the problem inevitably is the lack of goals. Their main threat - Christian Benteke is out for six weeks after suffering a knee injury in his sides 5-0 battering at the hands of Manchester City. Taking his place will be Englishman Connor Wickham. A talent that has shone for periods then retreated. His Palace record isn't bad but isn't amazing either - seven goals in twenty-nine appearances. It is fair to say however that he has little competition for the attacking role with Benteke out, Palace's other two listed strikers are Freddie Ladapo and Levi Lumeka (I don’t know who they are either). Hodgson is famed for his hands-on approach to football management. He is said to be at the training ground with the players most every day, which explains his return to club football. Drills are strenuous and repetitive, drilled into the player if you like. He has often opted for a two-pronged attack which may prove difficult given the injuries and lack of squad depth that he has at Palace. Maybe the problem is the team - Frank de Boer is an accomplished manager but his time at Selhurst Park was dreary and short lived, Roy Hodgson is also a reputable manager who has arguably taken over a sinking ship. Everton fans would've been full of optimism at the start of the season - a strong finish last year brought European football back to Goodison Park, and an impressive summer in the transfer market. Beating Stoke on the opening day of the season seems like an age ago, having picked up just three points in the Premier League since. Ronald Koeman has had a busy start to this season having Europa League games, and a tough start in the Premier League facing Chelsea, Tottenham, Manchester City and Manchester United. Fans have reacted angrily on social media after yesterday's defeat at home to Burnley, who have quietly worked there way up to 6th in the Premier League. ​So where do Everton’s problems lie? Koeman seems tied between five at the back and four at the back, and what players to play there. Whilst Leighton Baines and Mason Holgate are cementing their positions at full back, there has been dispute over who should partner Michael Keane at centre back. Ashley Williams began the season as the preferred choice but has come under the scrutiny of the fans who, in a recent poll conducted by the Liverpool Echo, stated that they think Mason Holgate is the best choice after filling in for the injured Michael Keane against Burnley yesterday. Further up the pitch, Koeman has been also been experimenting with one or two defensive midfielders, and one or two strikers. Everton are not short of midfield talent, with Morgan Schneiderlein, Idrissa Gueye and Tom Davies all having a decent amount of game time. Yet the Everton fans of social media seem in favour of a midfield diamond featuring Morgan Schneiderlein as the solo defensive anchor. At the tip of the diamond you’ll find Gylfi Sigurdsson. Everton’s midfield need to operate in favour of the Icelandic summer signing in order to have more attacking prominence. In attack, Sandro Ramirez is yet to settle in England, and as for Wayne Rooney, well... The former England captain has scored two Premier League goals since rejoining the Toffees, but off the pitch events have Wayne in the headlines for the wrong reasons and not for the first time. Koeman not only brought Wayne in for his ability but also for his presence, experience and love of the club. There’s no doubt in my mind that the drink driving allegations that Wayne Rooney is facing, has had a major effect on not only himself but on the whole dressing room. Coinciding with a wealth of fresh faces, the Everton manager will be finding it hard to get his struggling team to harmonise. Having said all of that, there are positives to be taken – emerging young players like Jordan Pickford and Tom Davies show promising sign for Everton, who hope to be in their new stadium by 2019. 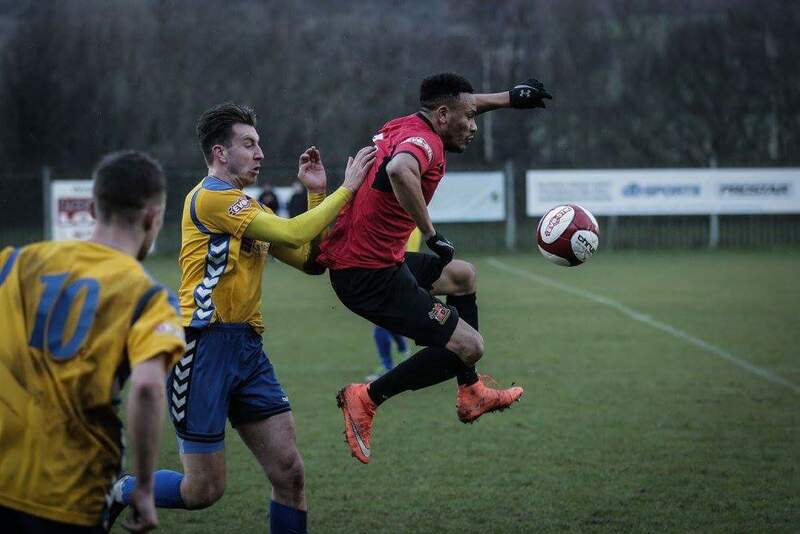 Sheffield FC kicked off as the home side looked to make it back-to-back home wins, writes Luke Phelps, on a windy Saturday at The Coach & Horses. It was however visiting team Corby Town who struck first, and just two minutes in after a corner wasn’t cleared falling to striker Leon Lobjoit who headed into the roof of the net to make it 1-0 to the away team. Sheffield almost replied instantly when Ricky German’s shot was parried and Jamie Yates followed up, only for his shot to be put behind by young keeper Sam Wilson. Corby’s Jordan Crawford was causing Sheffield a lot of problems down their right-hand side and had a goal disallowed for offside before slipping in Lobjoit on the edge of the box, keeper Laurence Bilboe producing a good save. German’s hard work in the open stages paid off on the twenty-minute mark after a ball over the defence from Sam Finlaw found him, the striker drilled the ball low past Wilson to make it 1-1. Both teams had chances to take the lead, but it was the home team who did so. Slick build up play in the centre of the pitch lead to Jack Brownell threading a ball through to Yates who took his time and finished neatly to give Sheffield a 2-1 lead on thirty-eight minutes. Corby’s very own Paul Malone threatened the home teams lead just before half time as he rose to meet a corner, heading the ball down and onto the post before Bilboe pushed it behind for another corner. Corby came out for the second half with an attacking mindset, and broke through the Sheffield defence on fifty-six minutes. Crawford initially set up Lobjoit who was denied by Bilboe, before picking up the loose ball himself and finding the far corner through several defenders, putting Corby back on level terms at 2-2. The home fans thought they should’ve been awarded a penalty after Finlaw bought the ball down and seemingly onto the hand of a Corby defender. The referee dismissed the claims whilst Corby broke on the counter, Lobjoit who had several chances throughout the second half failing to convert. Corby came close in what was a dominant second half, Lobjoit and substitute Phil Trainer both with chances to take the lead. The third did eventually come for the visitors when the experienced Steve Leslie nailed a free kick into the bottom right corner from the edge of the box on eighty-five minutes. Sheffield’s German had the opportunity to equalise after the restart but was thwarted by a solid block from Corby full back Jamie Anton. The home team pushed hard for an equaliser in the final five minutes of the game but fell short as in-form Corby Town took all three points. Under pressure boss Ronald Koeman could not have hope for a worse start to this Europa League clash with Olympique Lyonnaise. Young defender Mason Holgate brought down full-back Marcal in the box to give Lyon a penalty in the fourth minute. Captain Nabil Fekir drove home to spot kick to give his team the lead. Everton began to pressure Lyon higher up the pitch in search of a goal. Kevin Mirallas looked the liveliest and almost grabbed that goal after Tom Davies slipped him in on the six-yard box. Davies then nodded the ball onto his own crossbar after a well-struck Memphis Depay free kick came his way. The Toffees best chance of the half fell to Jordy Klassen who intercepted a stray back pass deep in Lyon's half, keeper Lopes was equal to it. Half time saw the introduction of 19 year old Ademola Lookman for Everton, giving them some much needed pace in the final third. Lyon frontman Maolida had his first chance of the game after Davies gave possession away on half way. Morgan Schneiderlin came charging in with an important block which forced him off injured after he collided with keeper Jordan Pickford. 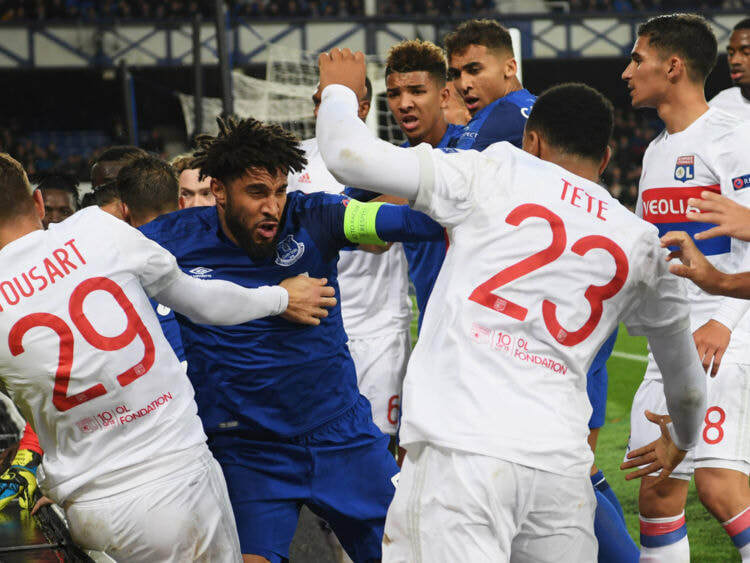 Everton's frustration became evident after a tustle involving several players from both teams prevailed, catalysts Ashley Williams and Bertrand Traore receiving yellow cards. Moments after being booked, Williams rose unchallenged in the Lyon box to equalise for his team in the 61st minute, heading home an inviting Gylfi Sigurdsson free kick. As Everton fans roared on their team, Lyon broke on the counter with a mazey run from substitute Maxwell, picking out Traore in the six-yard box who cheekily back heeled the ball through Pickford's legs to give the visiting French team the lead in the 86th minute. Five minutes of injury time brought a scrappy end to a cagey, but entertaining game of football. Barnsley’s frustration began to show when the referee halted play during a Barnsley attack, Wednesday’s Daniel Pudil being forced off with what appeared to be a hamstring injury. Head coach Paul Heckingbottom’s frustration was short lived however. Two minutes after the restart, youngster Harvey Barnes equalised with what has to be a contender for goal of the season. 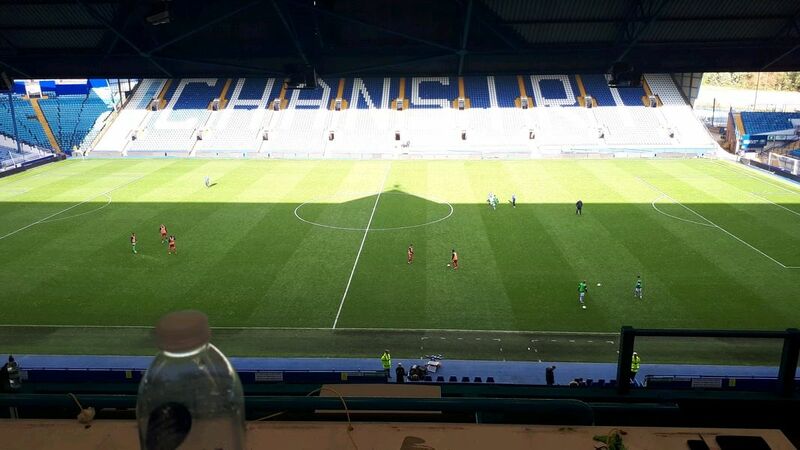 Barnes took the ball onto the left hand side before cutting in and looping a 25 yard curler over Westwood – 1-1 in the game at Hillsborough with twenty minutes remaining. ​Wednesday introduced Jordan Rhodes to the game on 73 as they searched for a goal. It was however Gary Hooper, who had been quiet all game, that had the next best chance of the game. Hunt again causing Barnsley problems down their left hand side, picked out Hooper who headed straight at Davies from six yards. ​Heckingbottom’s men stood firm in the face of the Wednesday on slaught, and even had the ball in the back of the net before it was ruled our for a foul. Tension was rife within the stadium as the fourth official indicated for 5 minutes of added time. This was not enough time for either team to grab a late winner though, as the referee blows on 1-1.